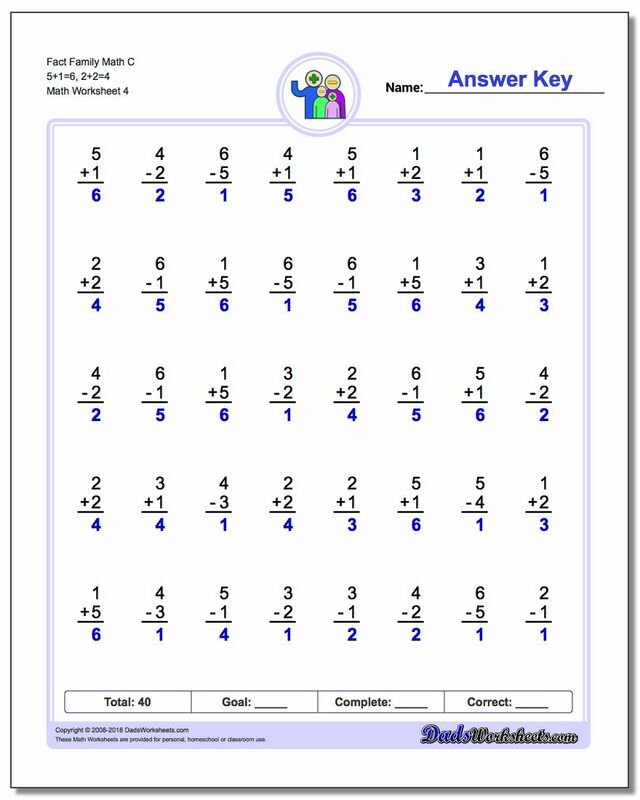 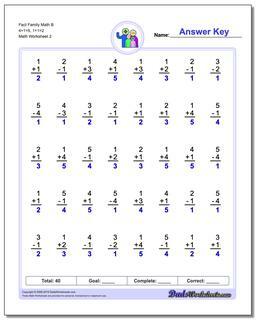 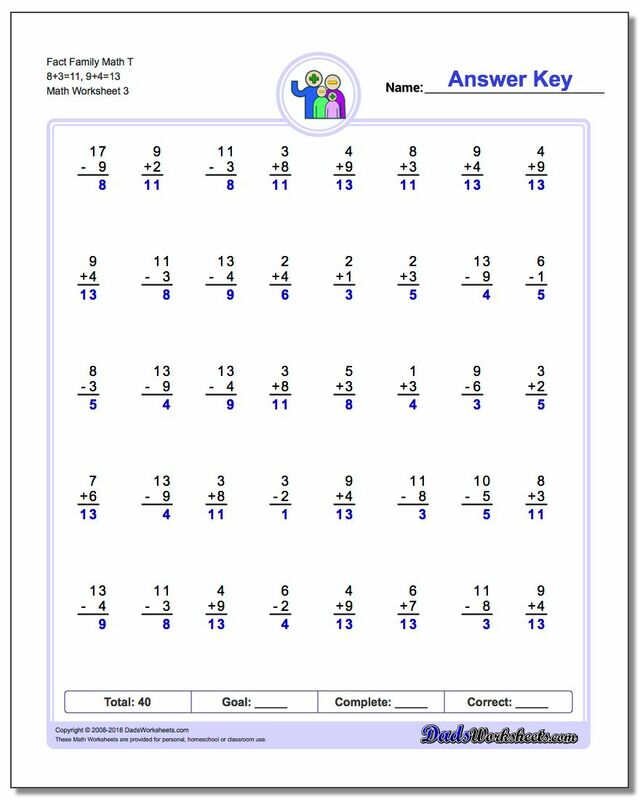 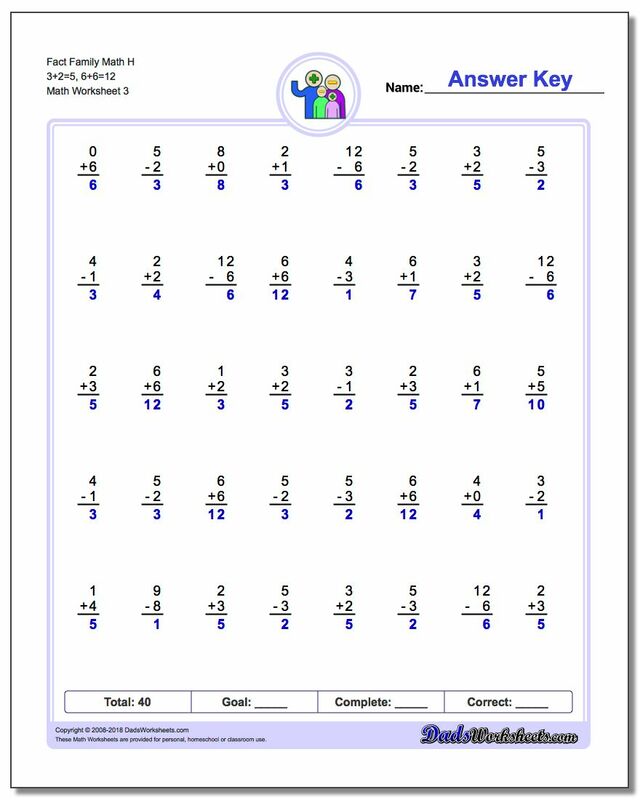 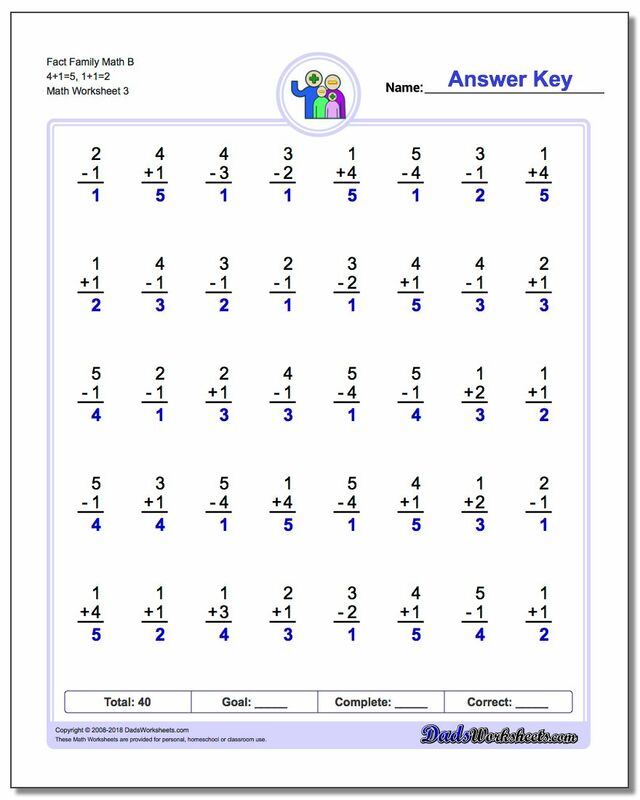 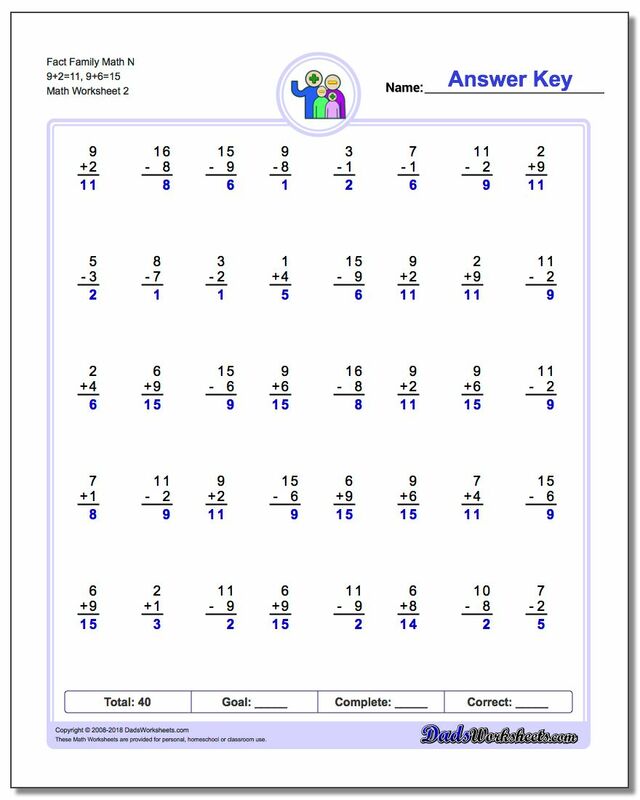 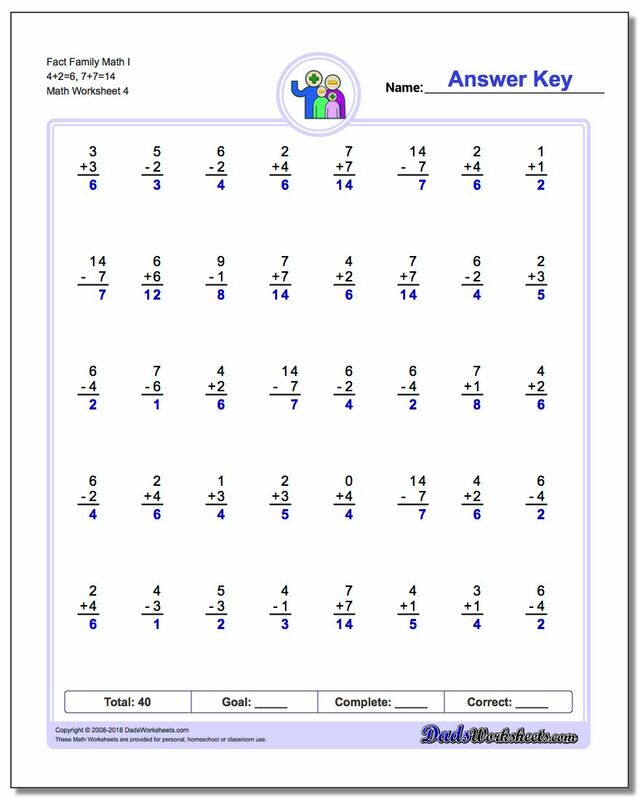 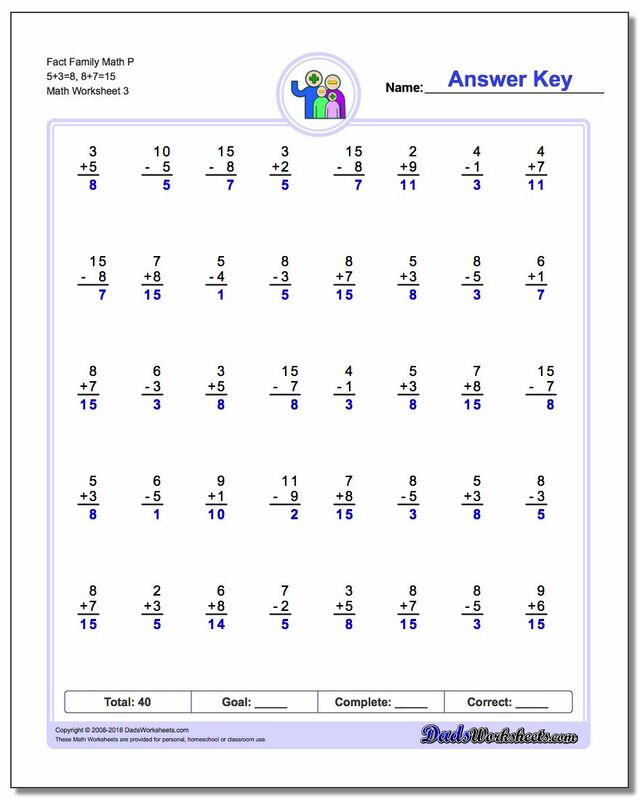 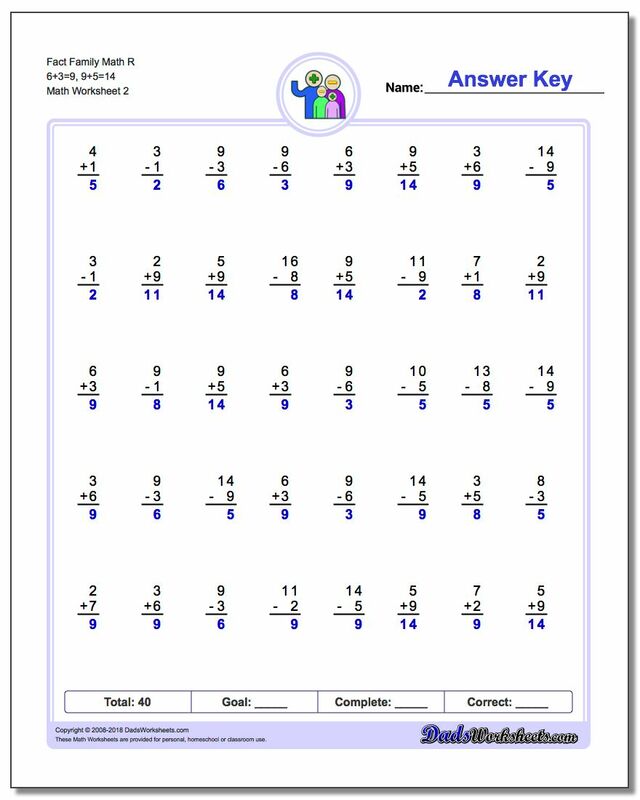 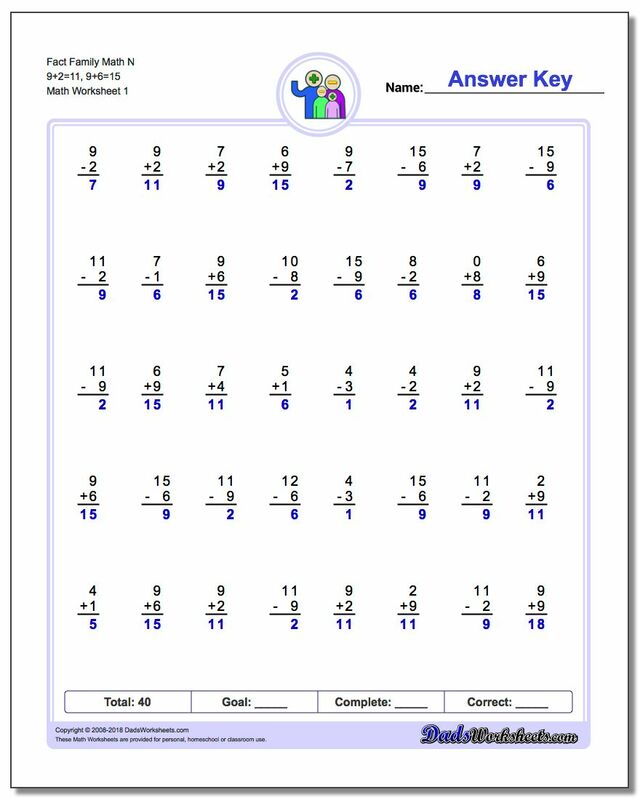 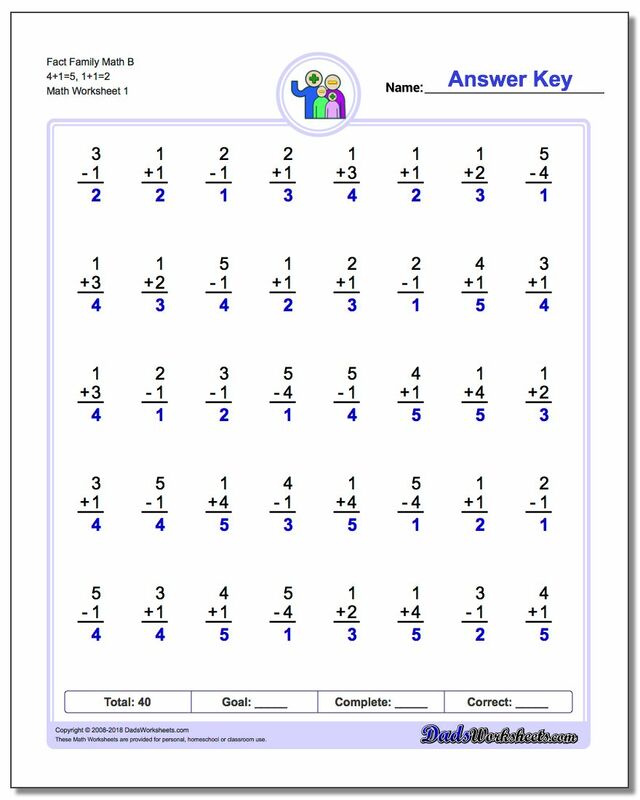 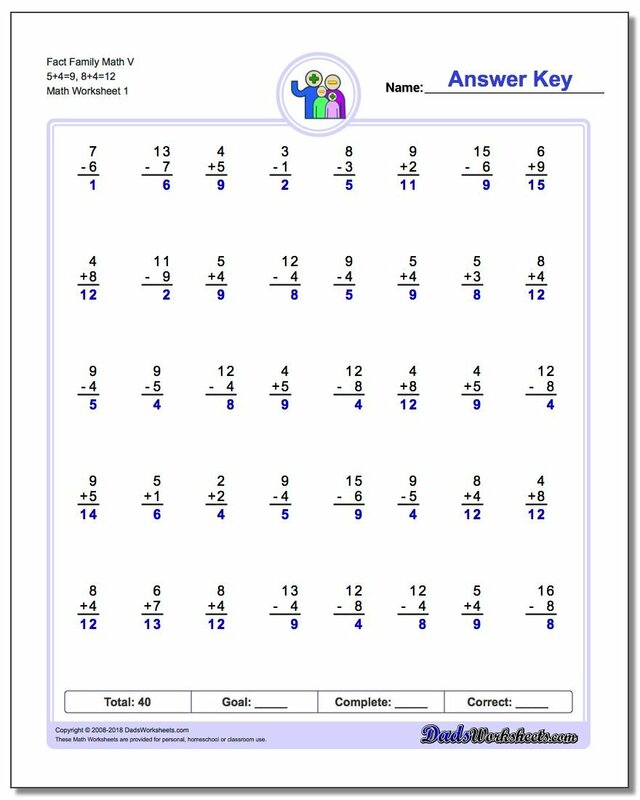 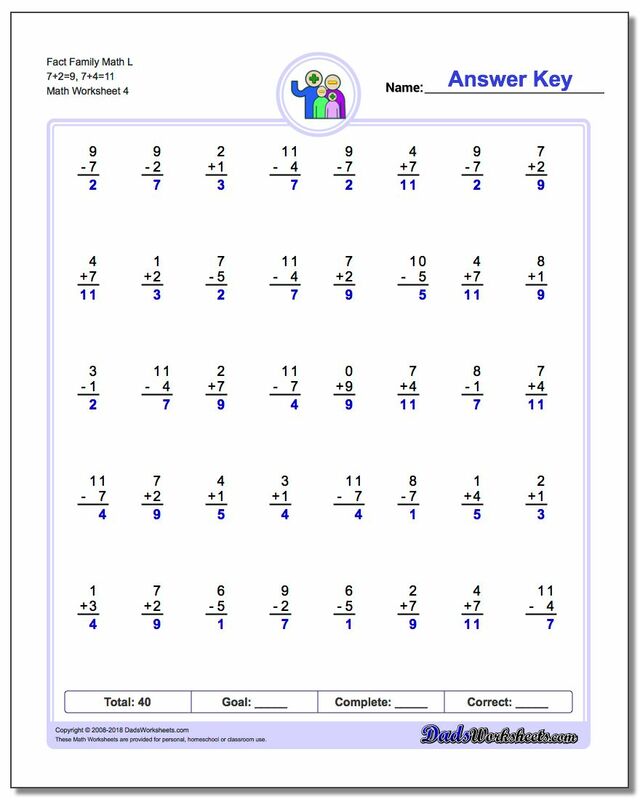 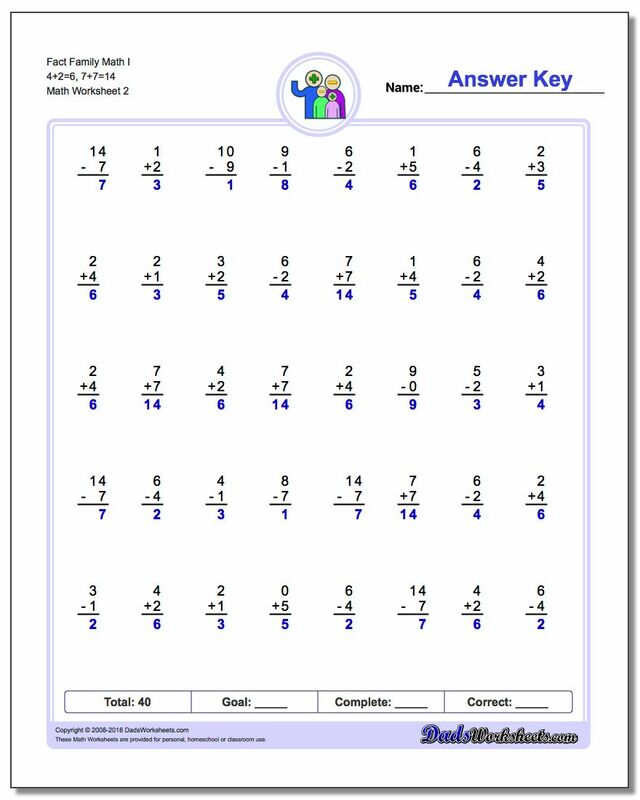 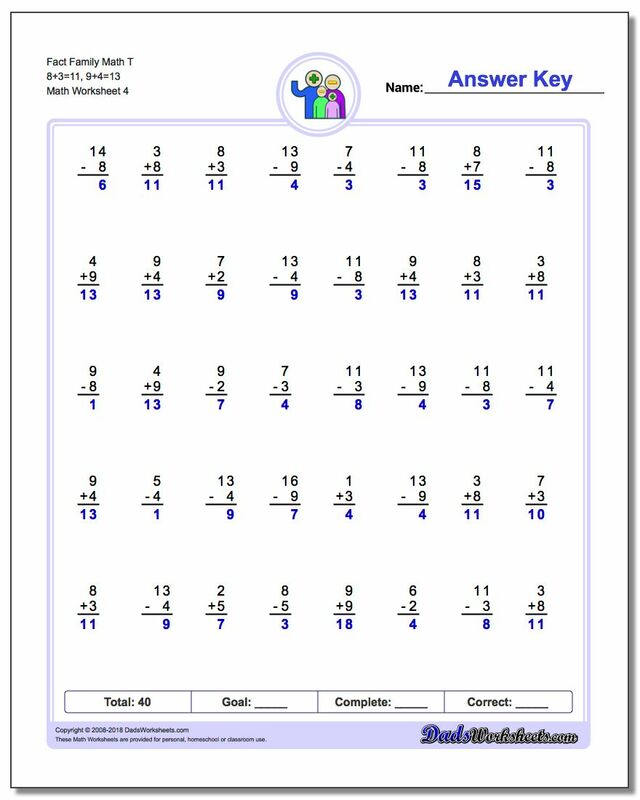 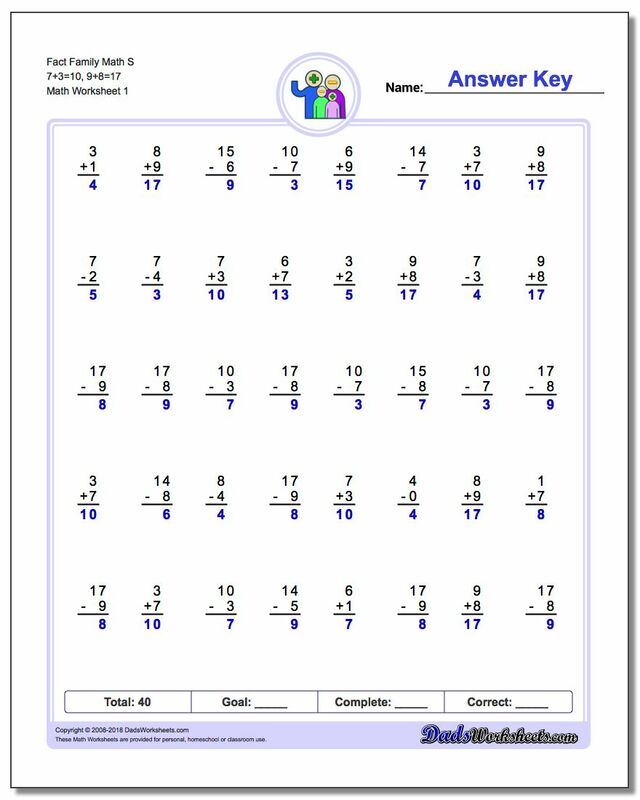 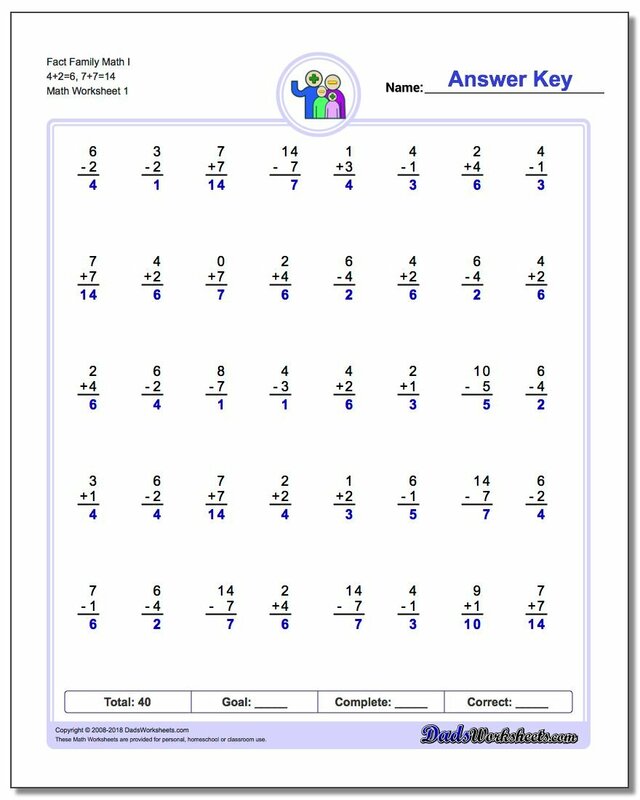 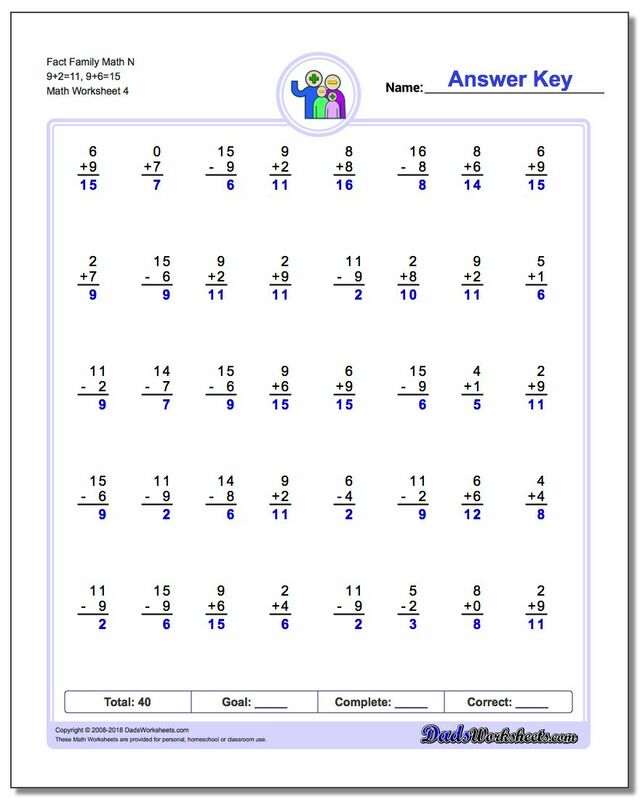 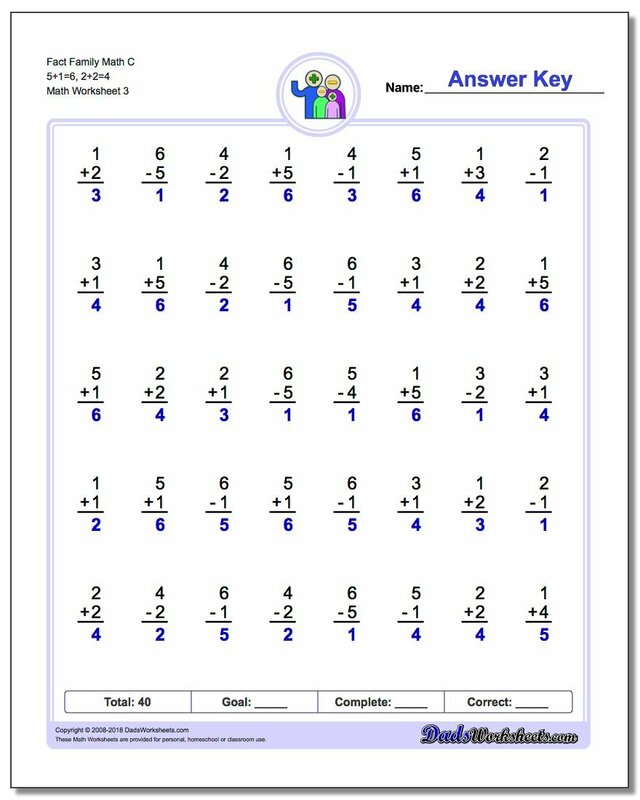 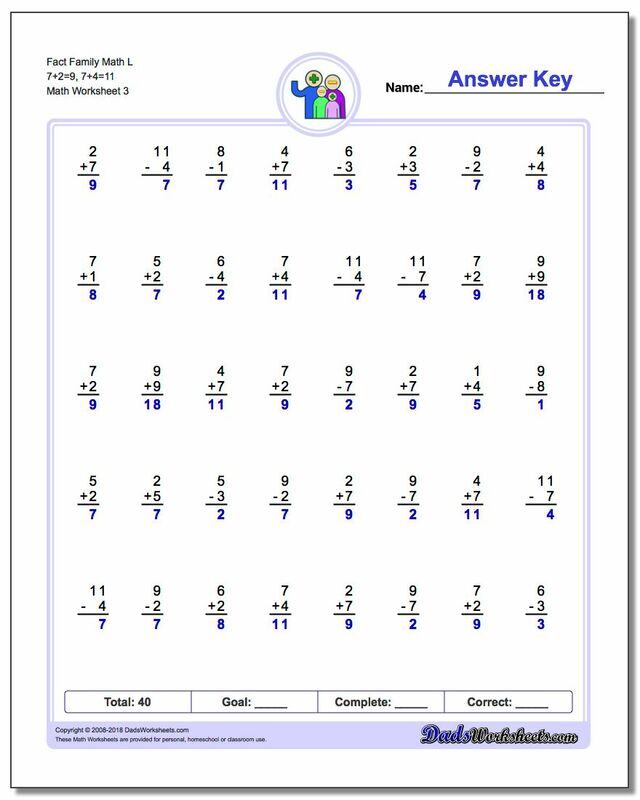 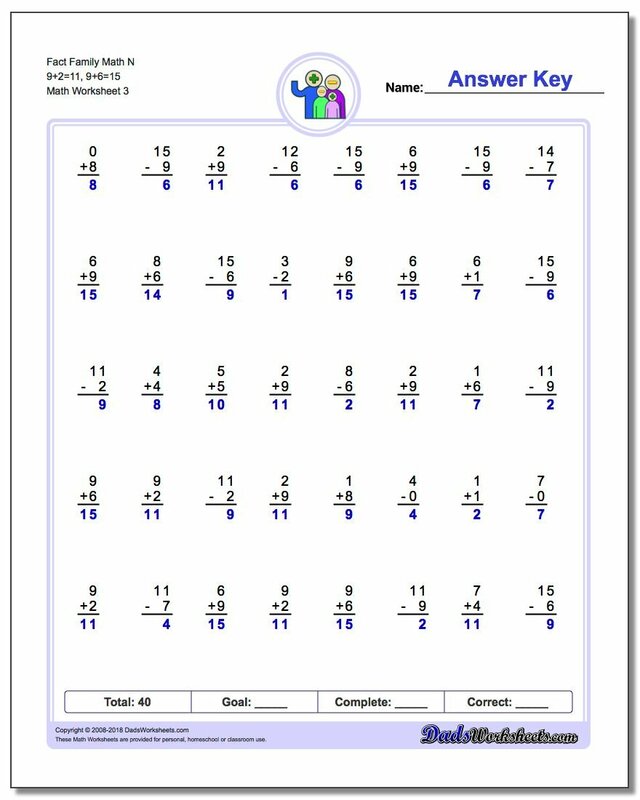 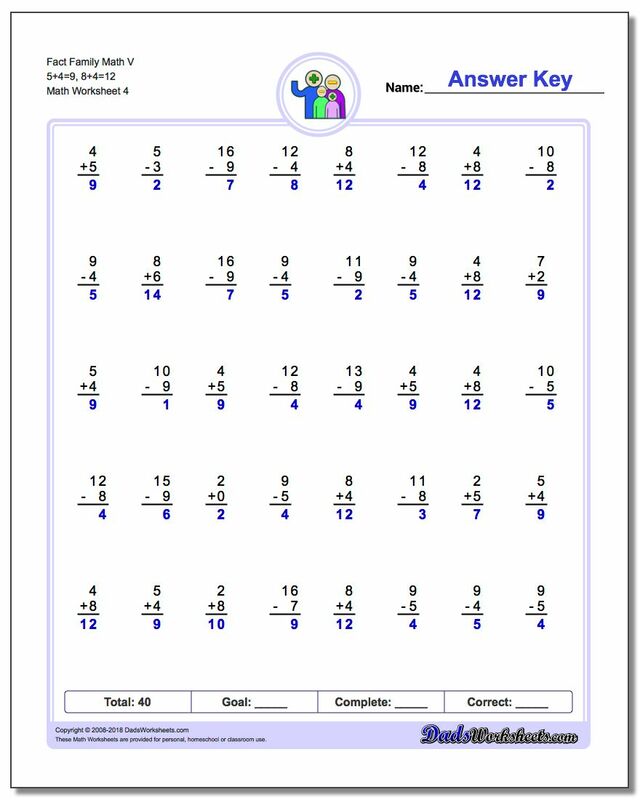 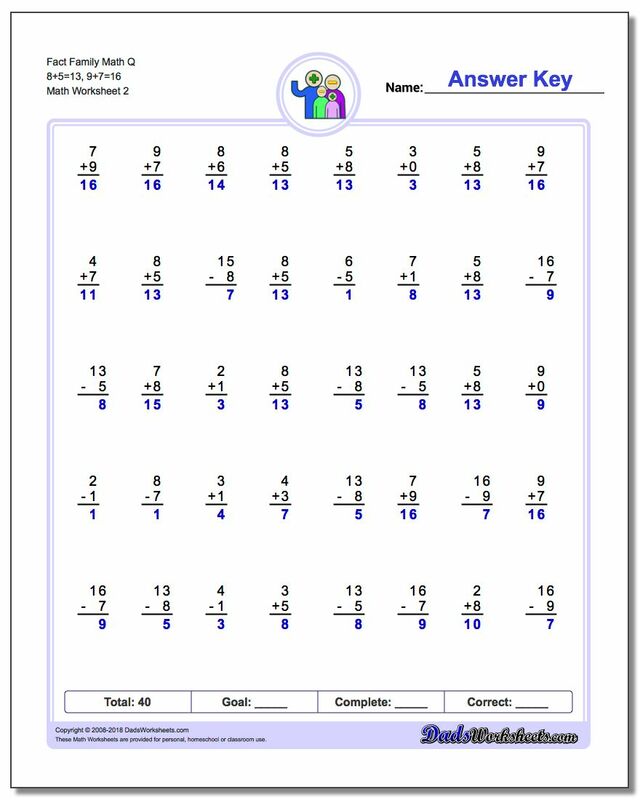 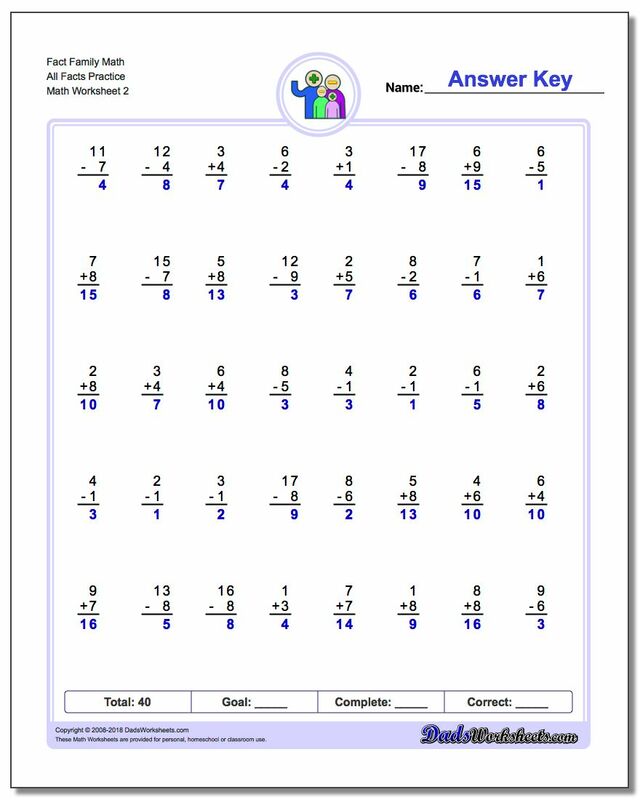 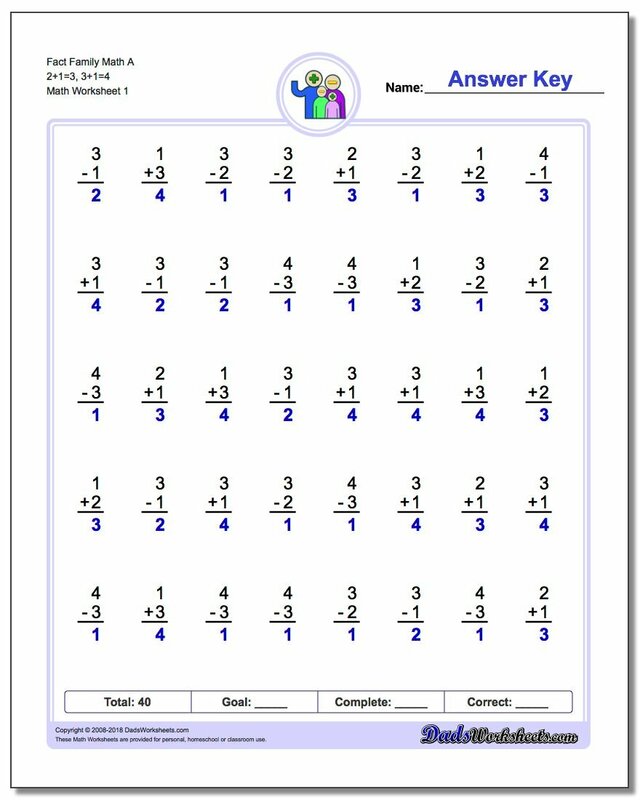 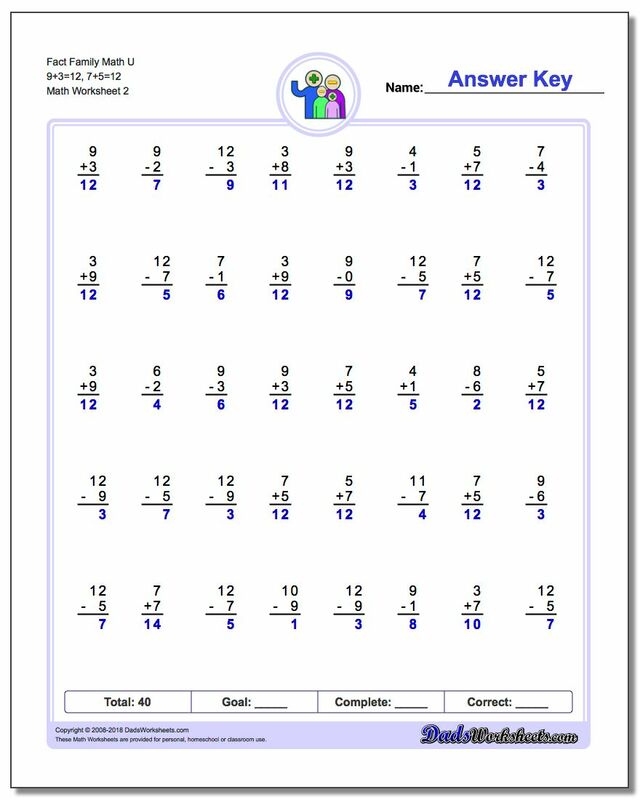 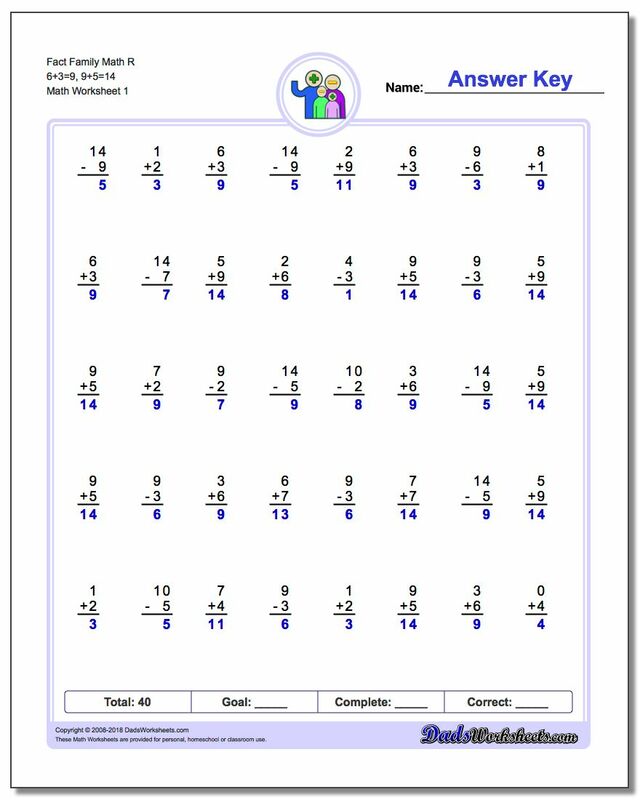 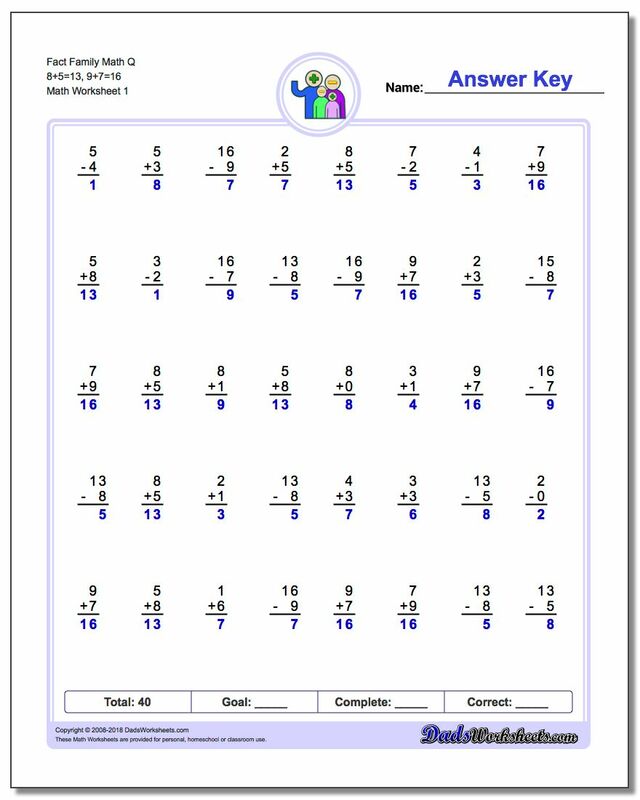 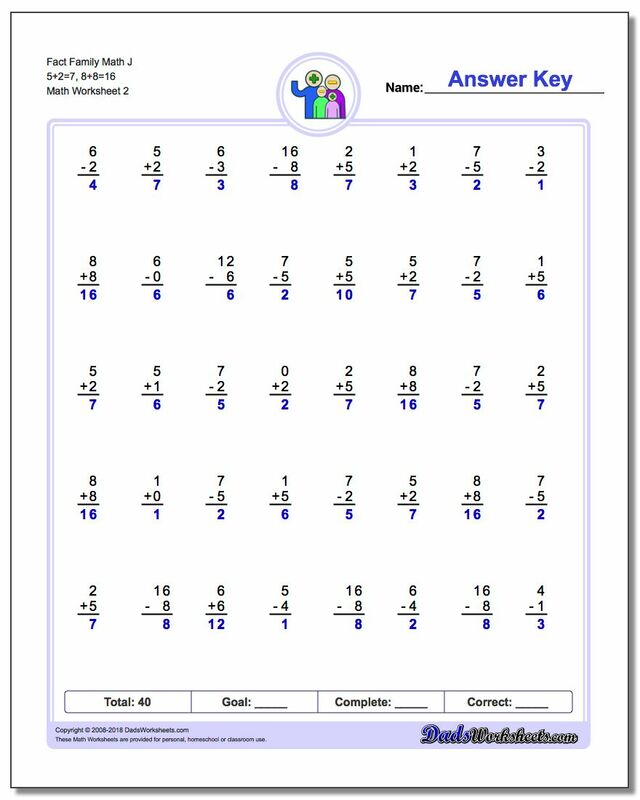 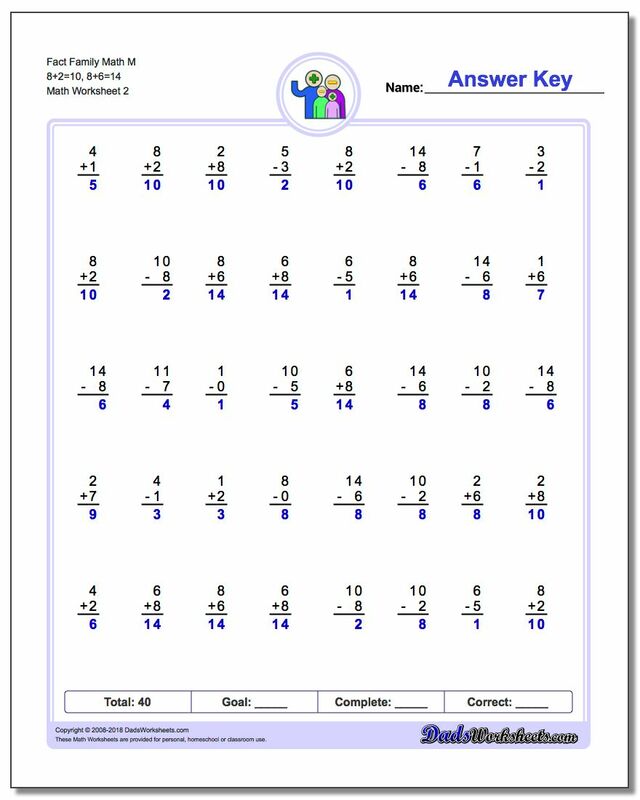 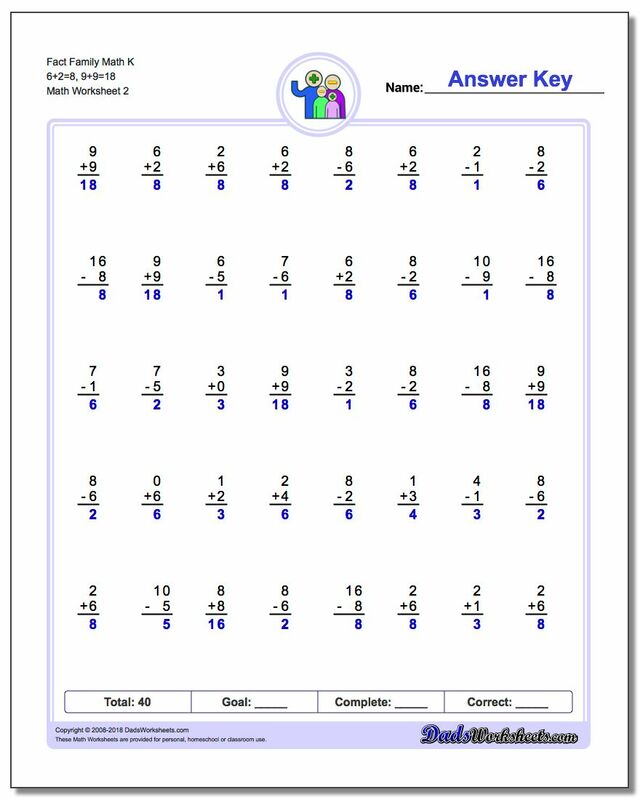 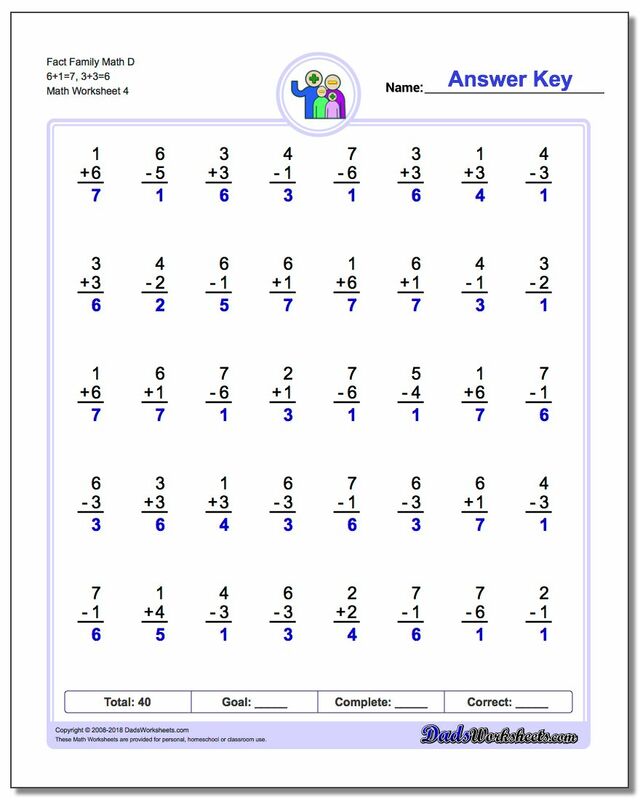 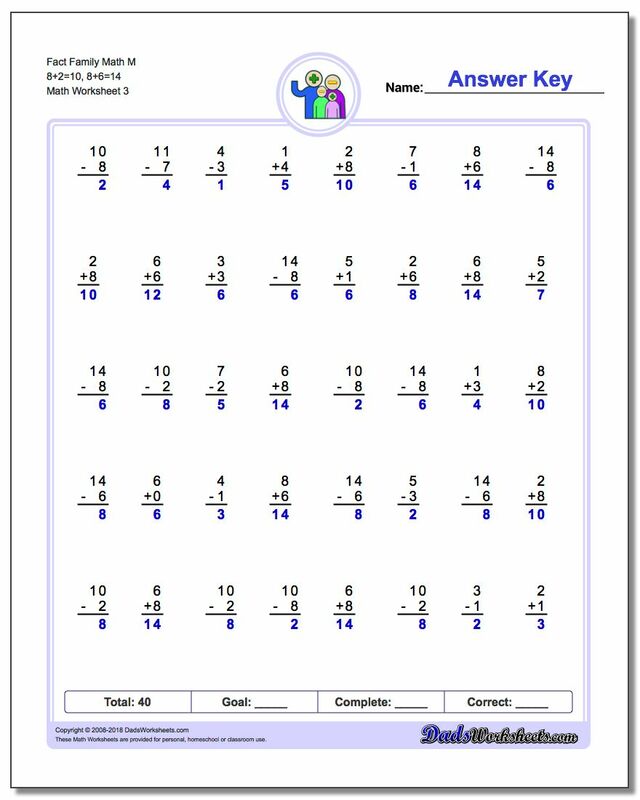 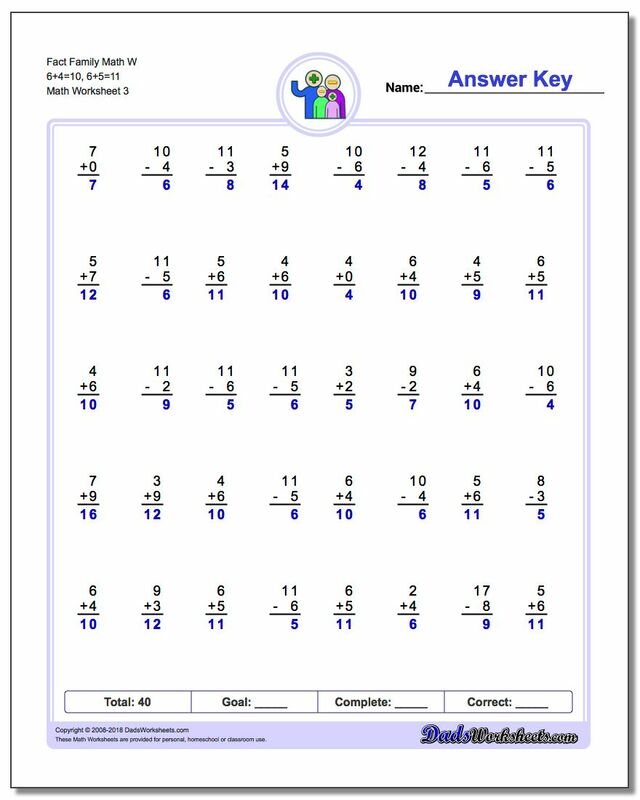 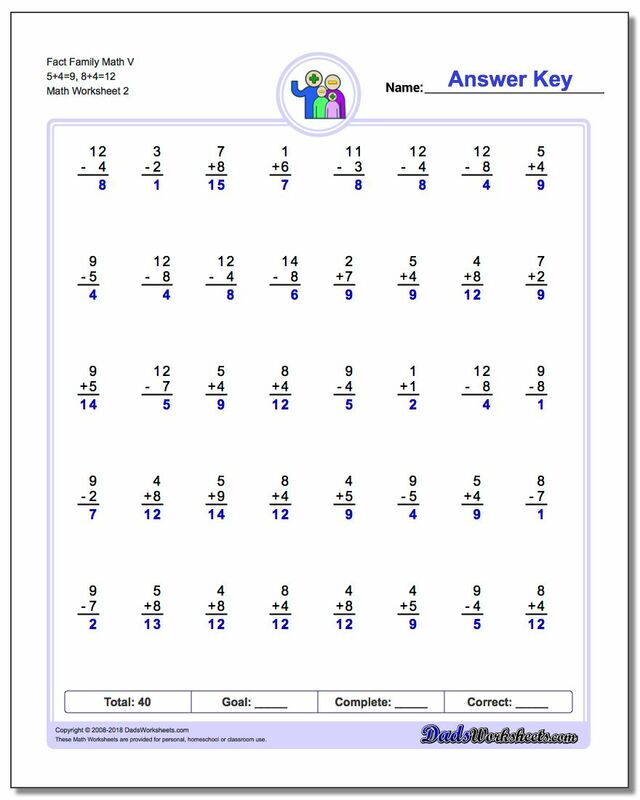 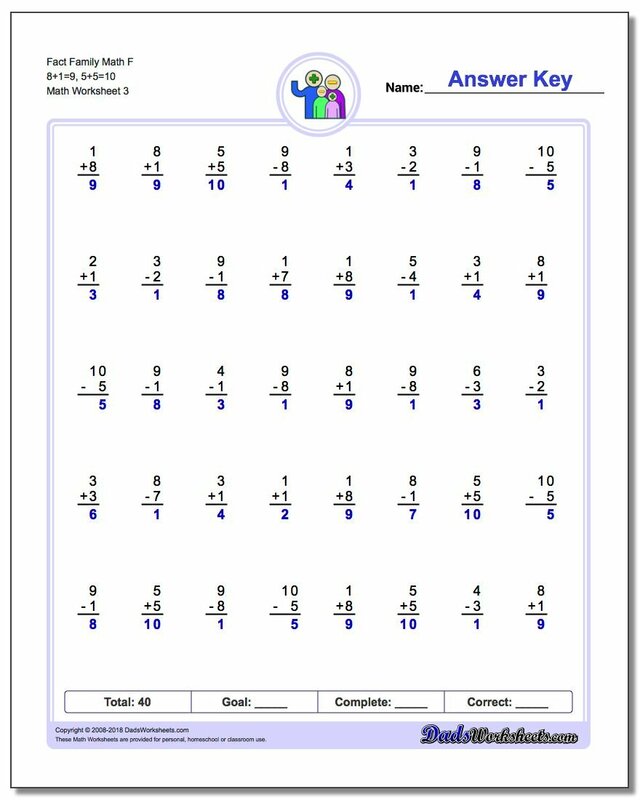 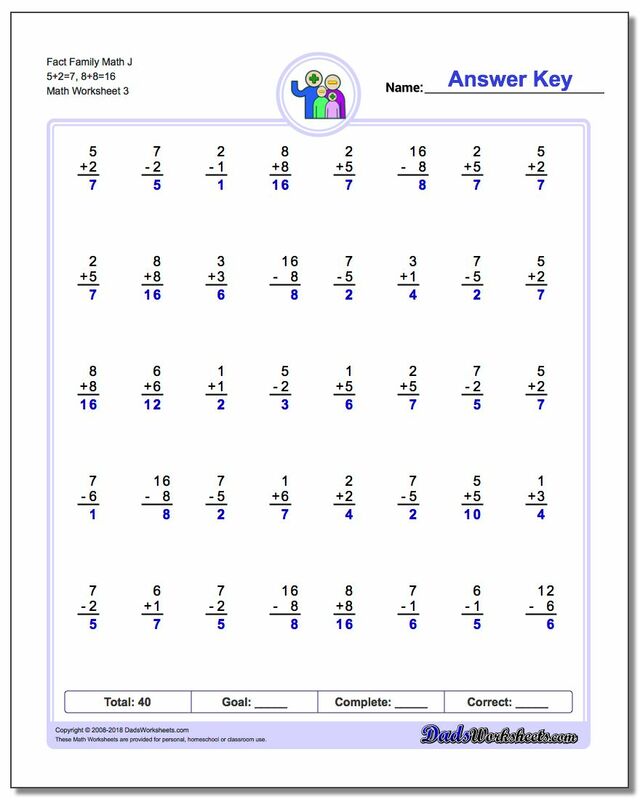 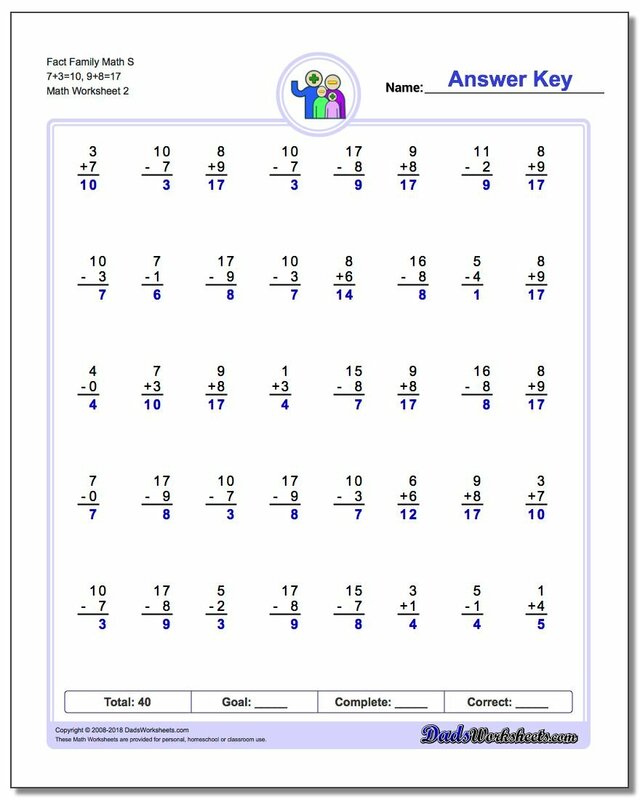 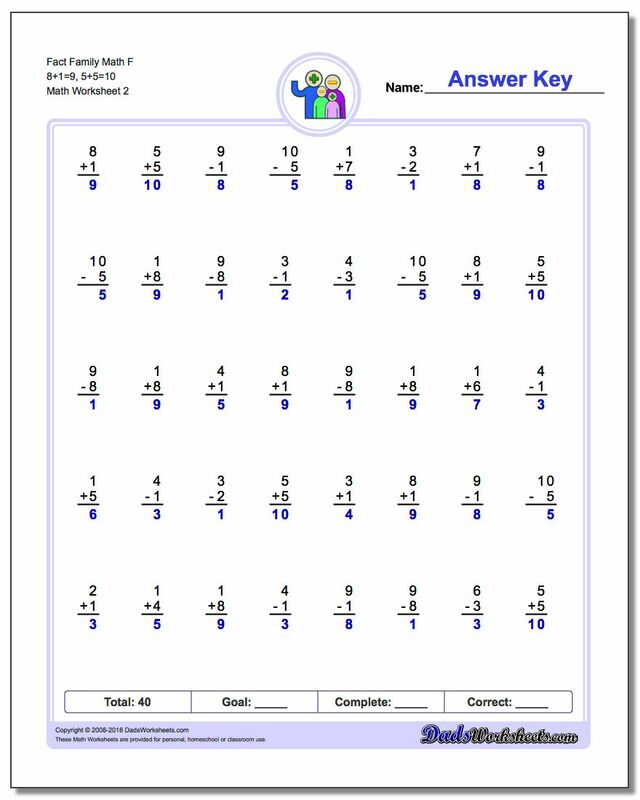 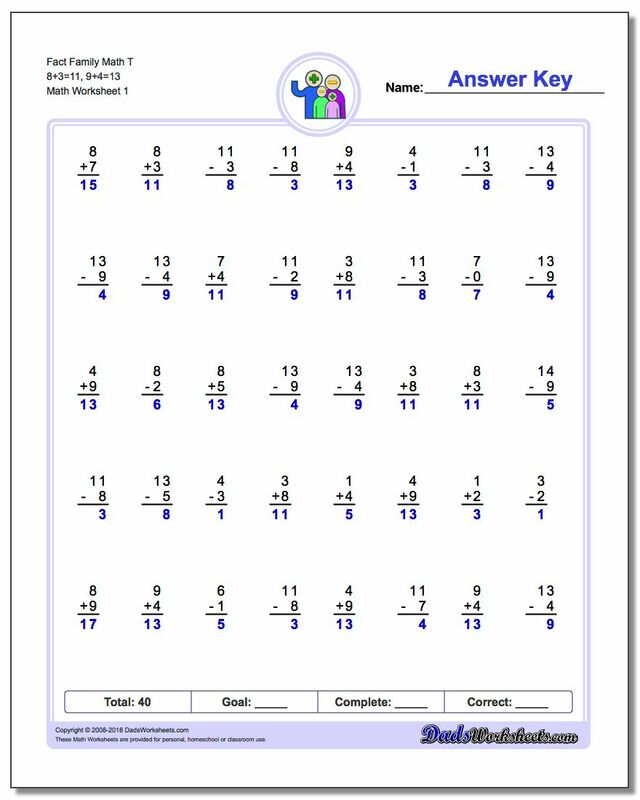 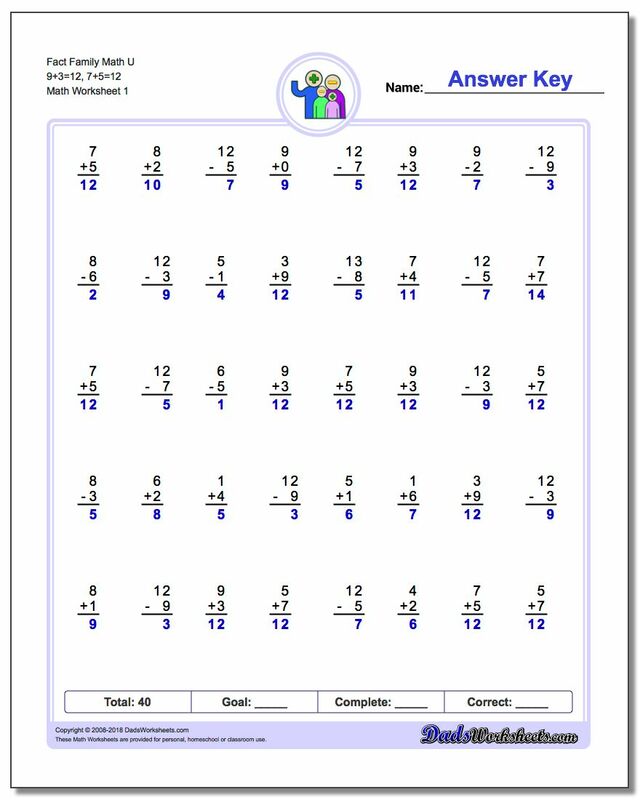 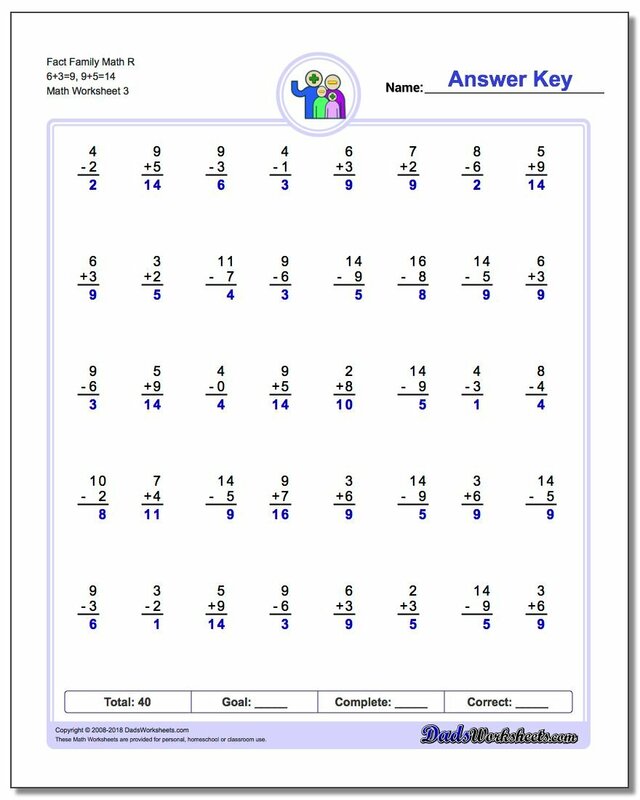 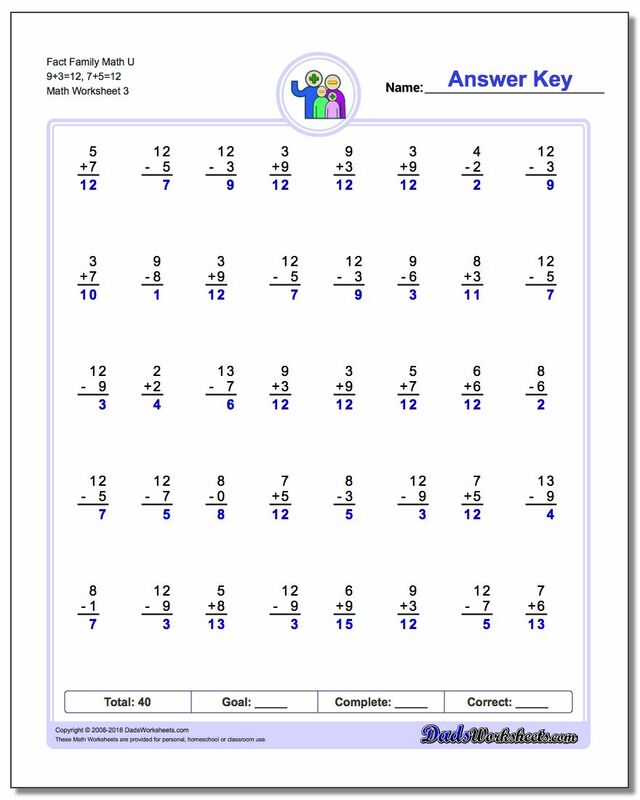 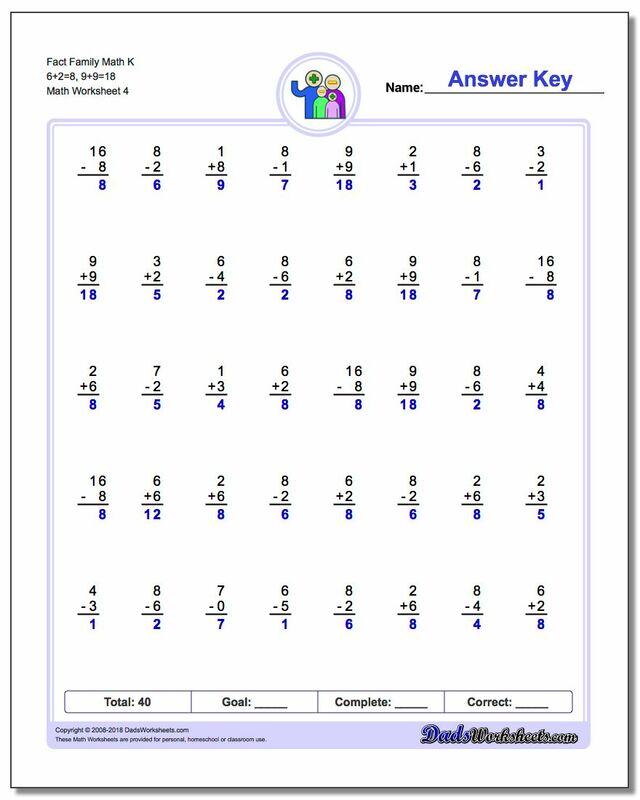 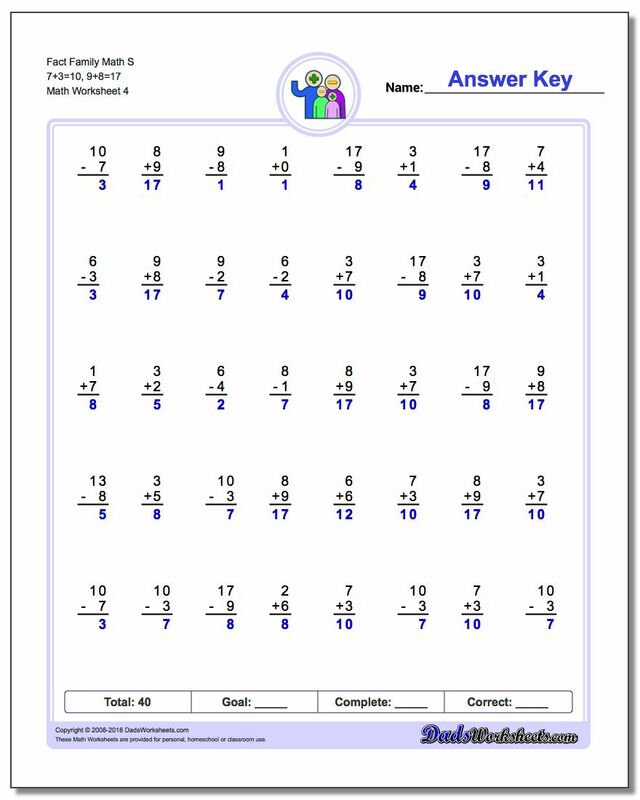 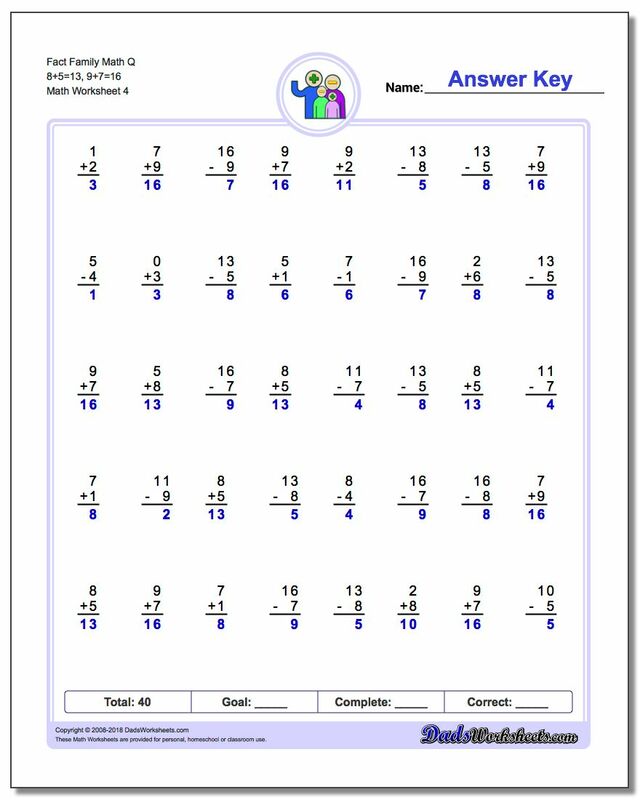 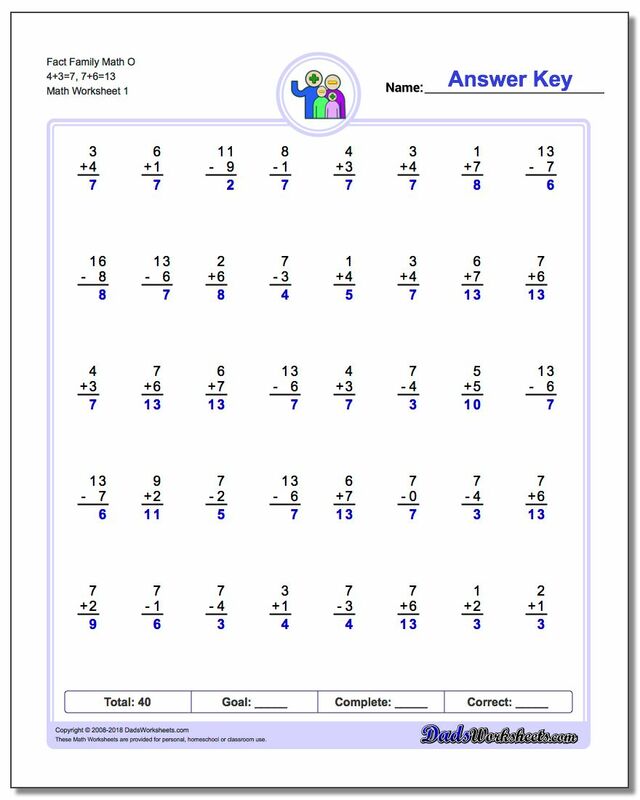 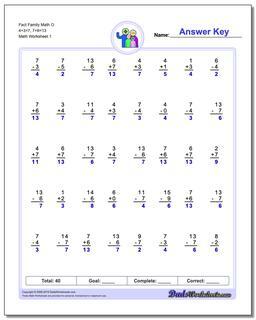 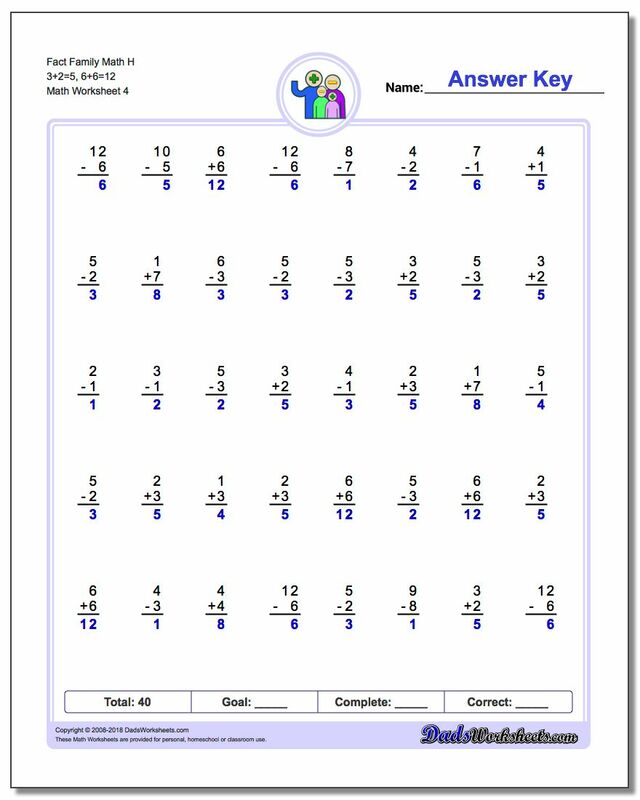 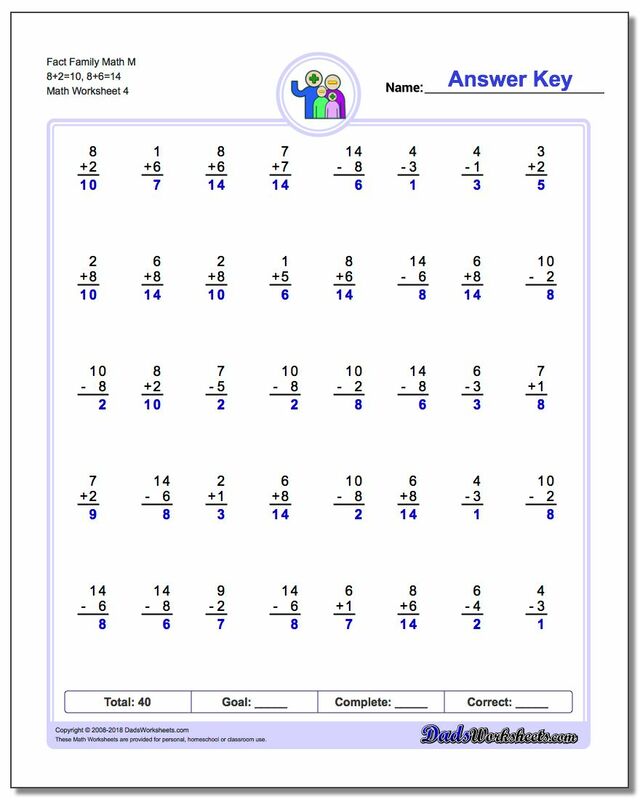 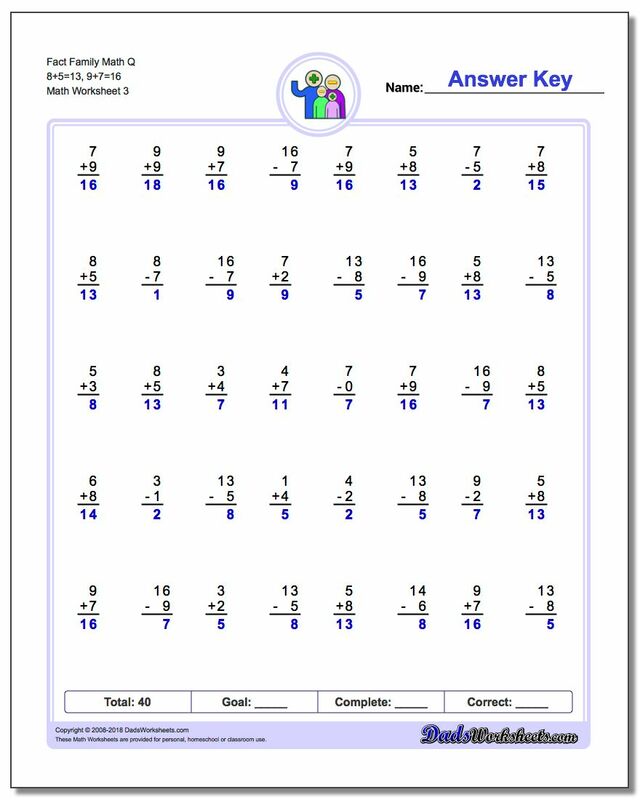 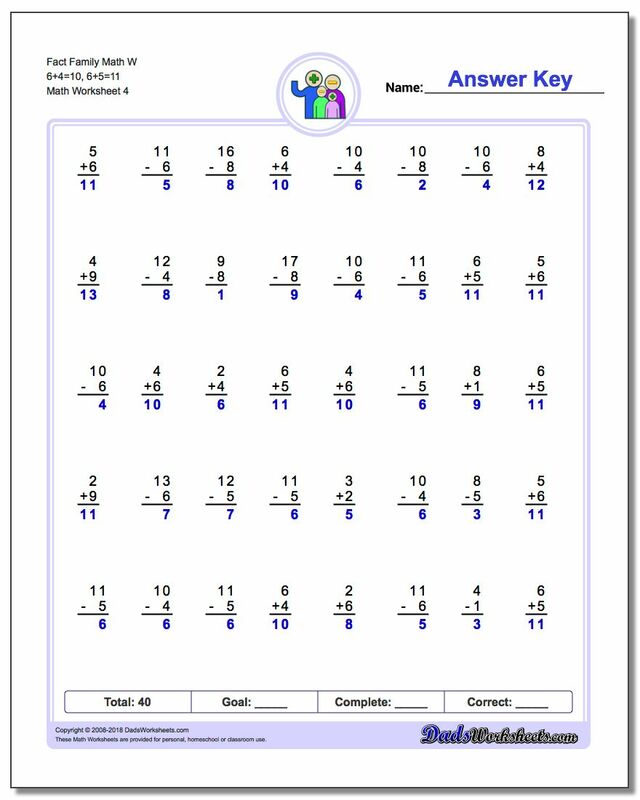 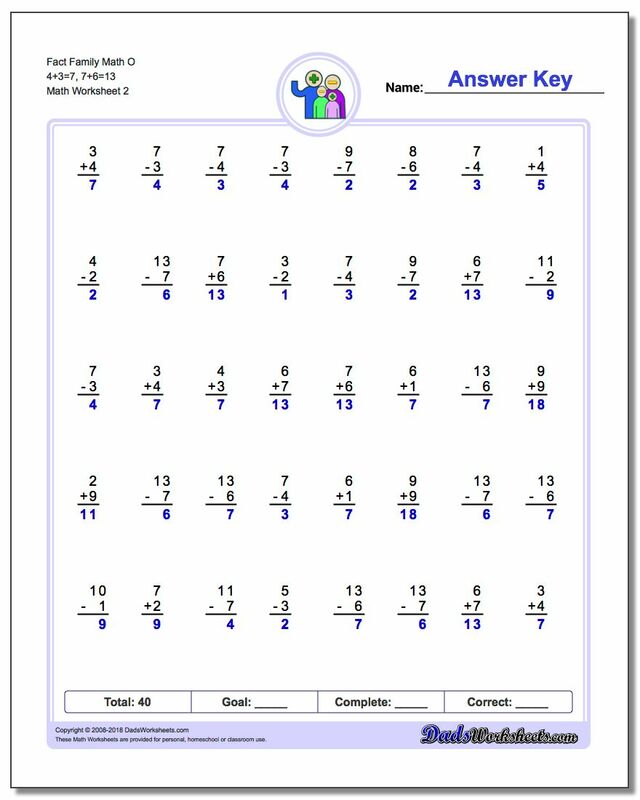 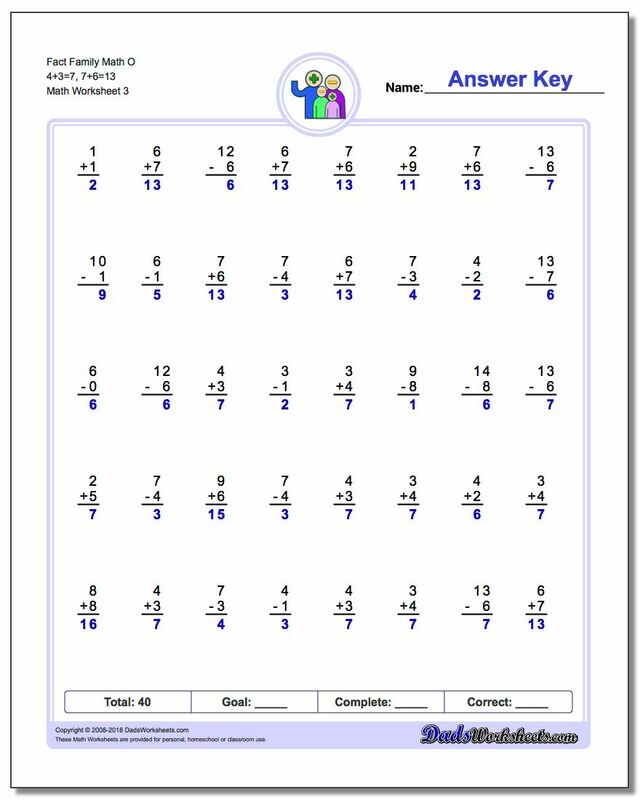 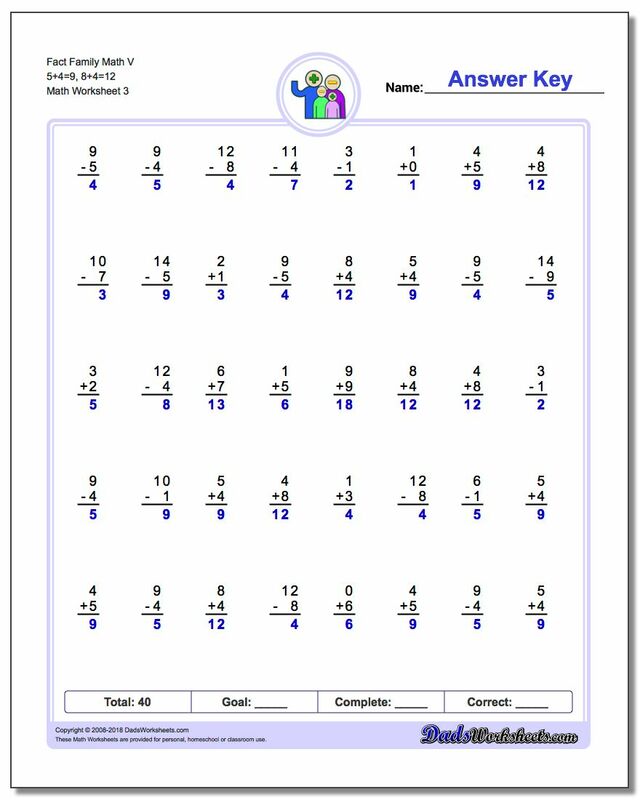 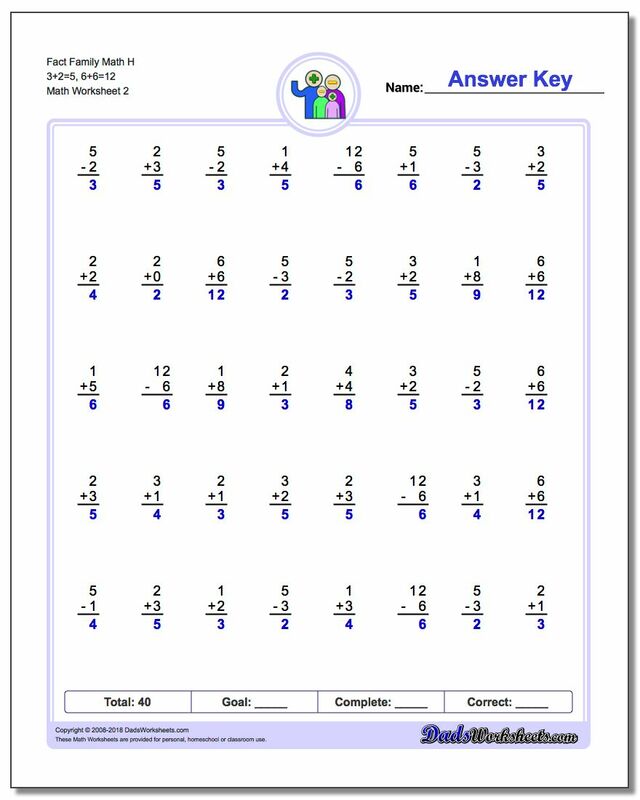 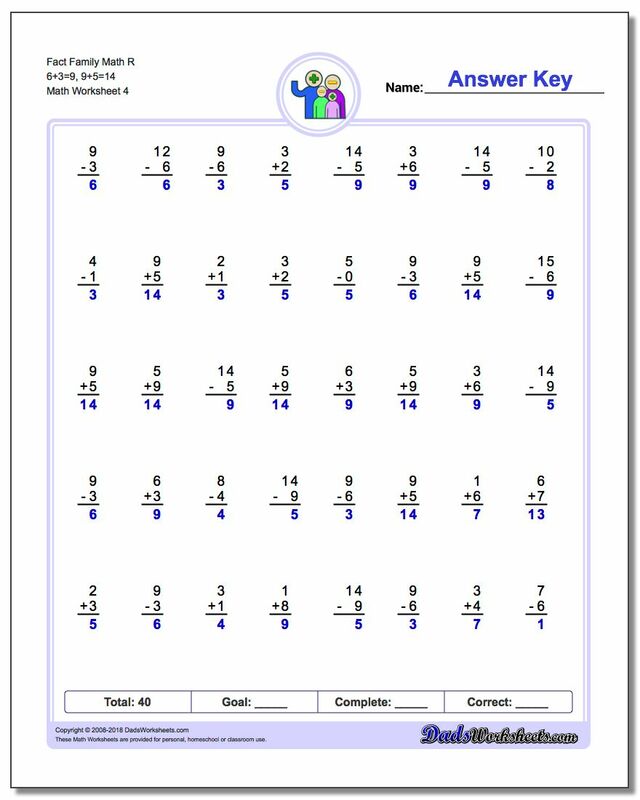 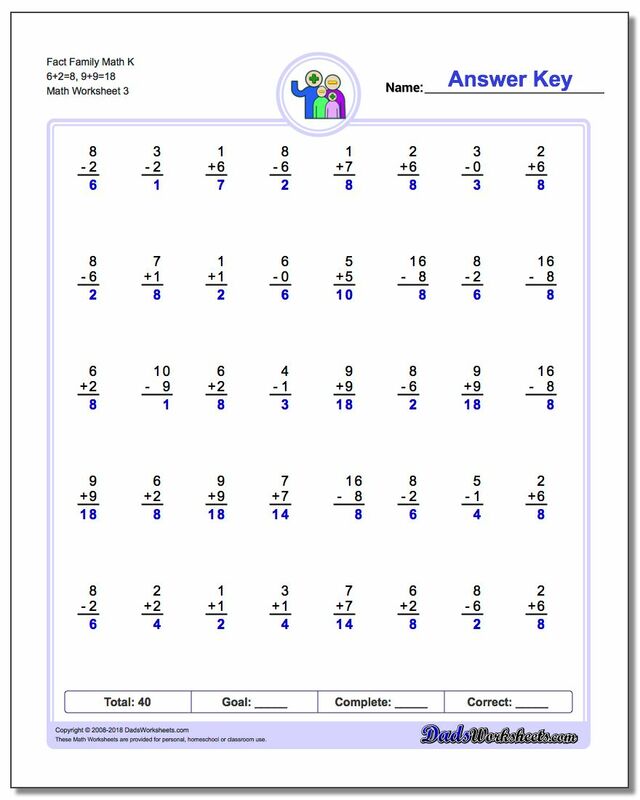 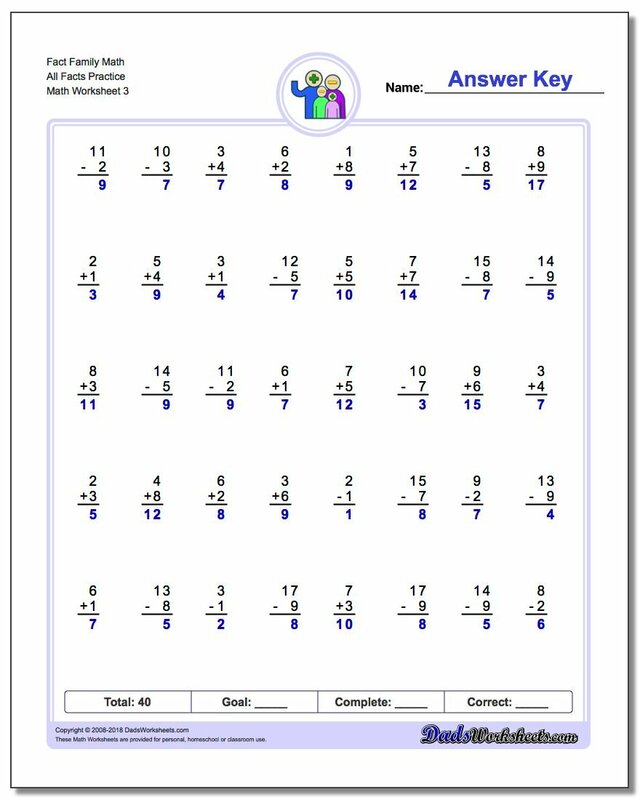 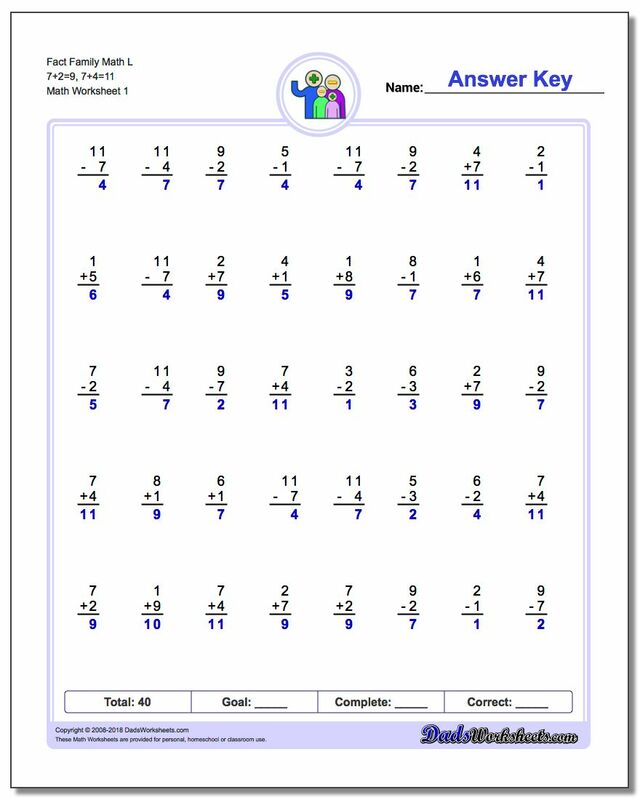 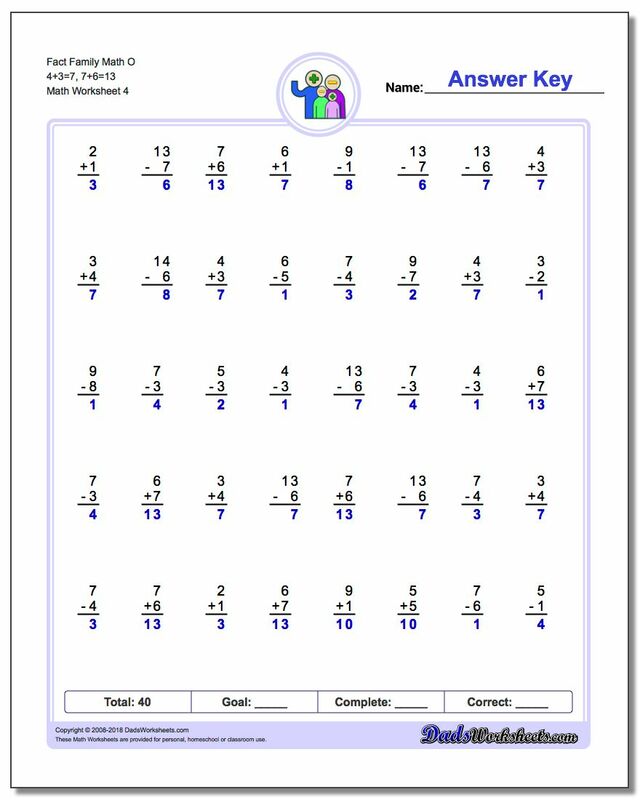 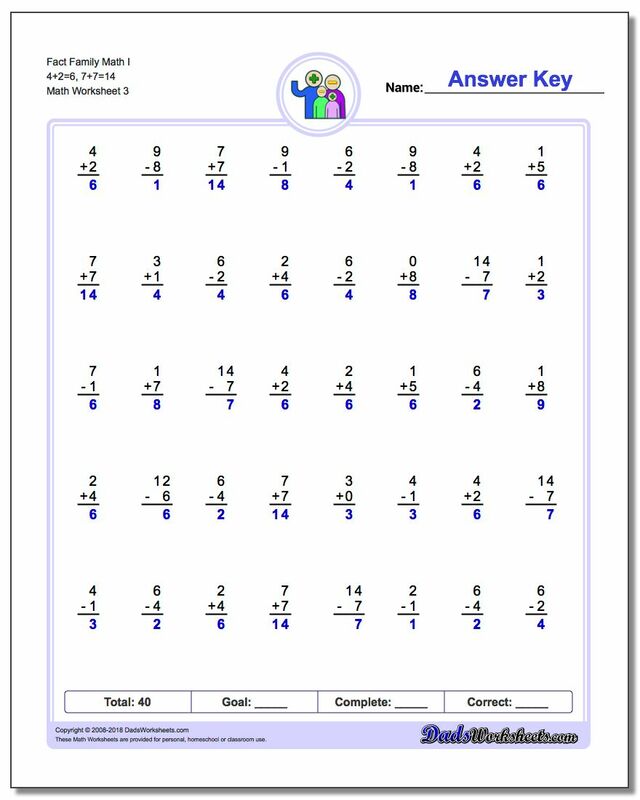 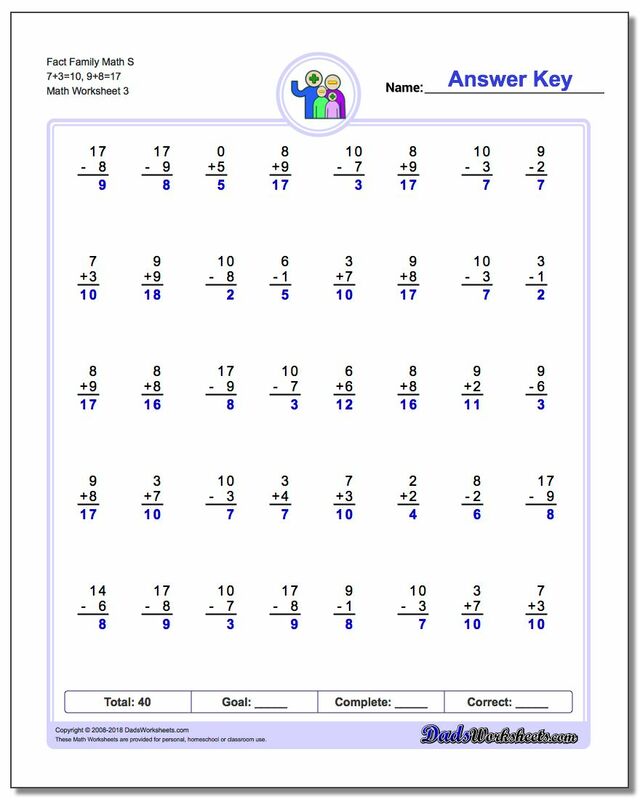 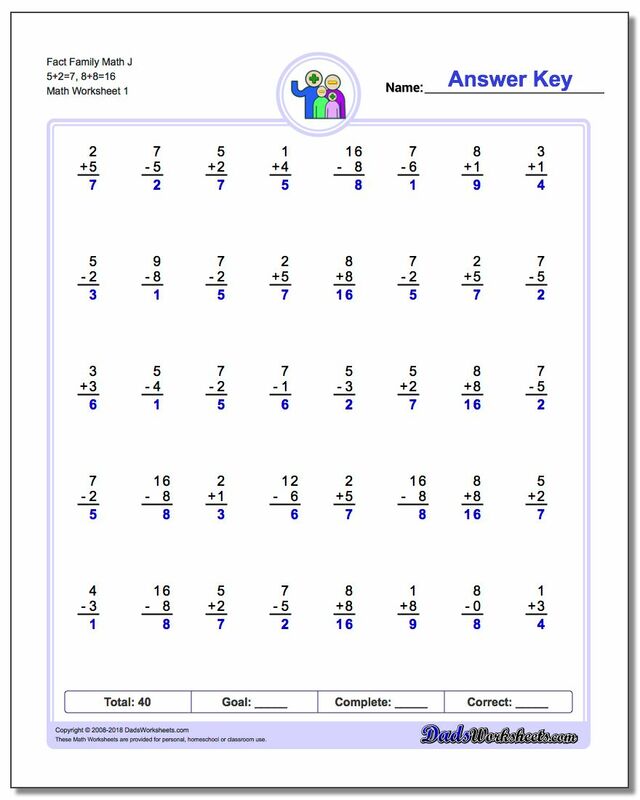 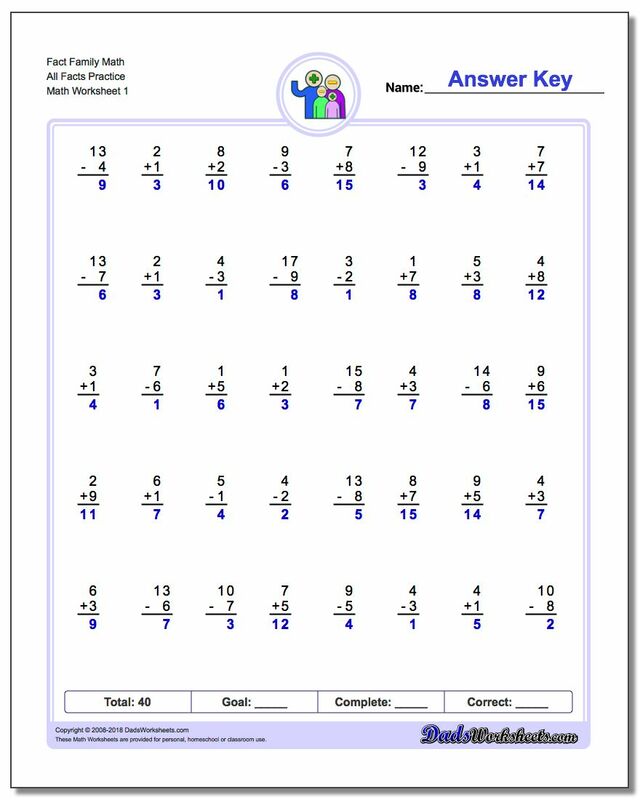 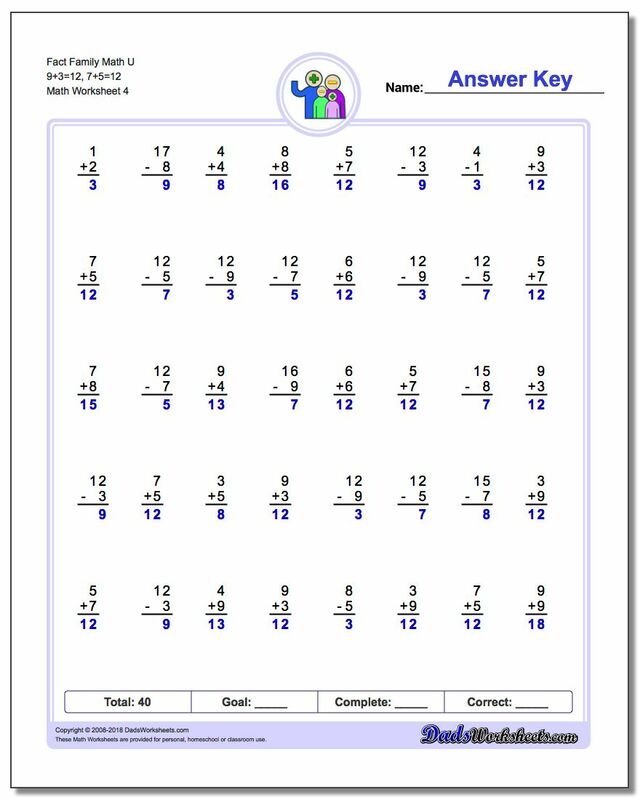 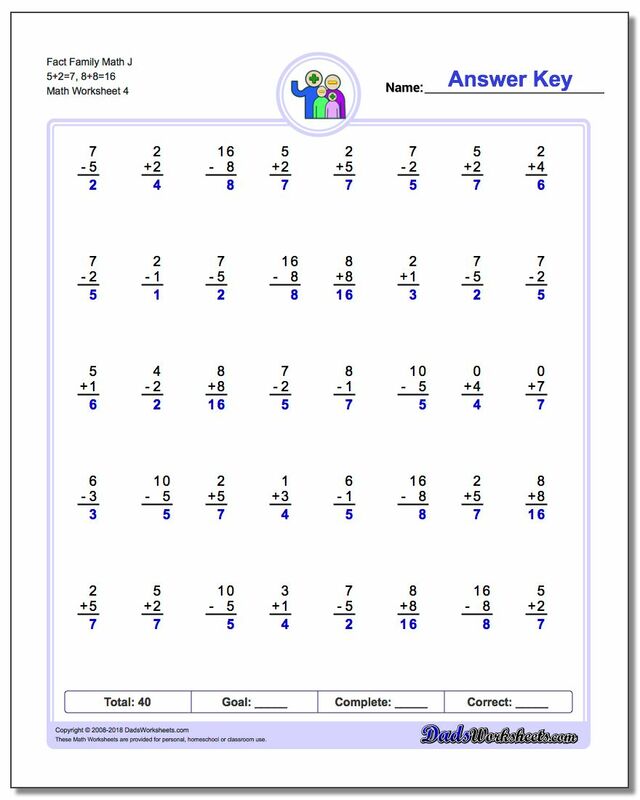 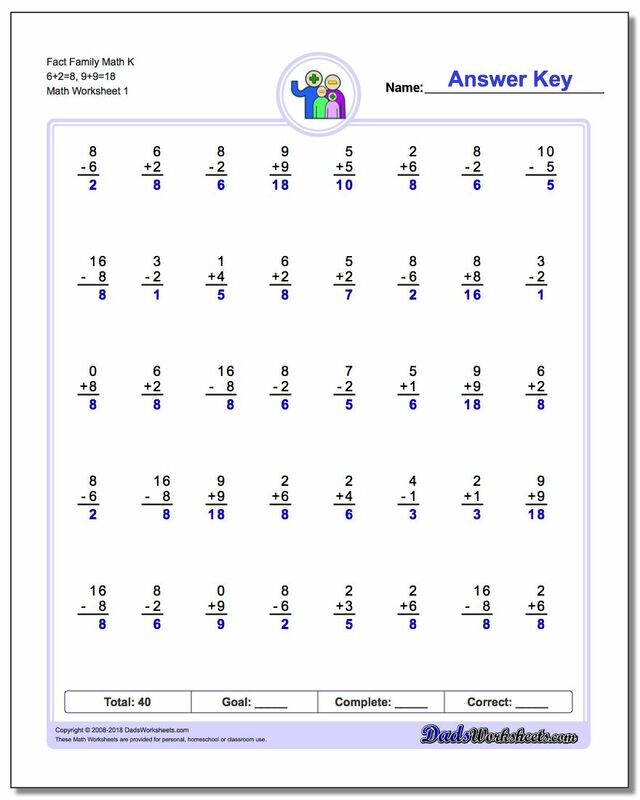 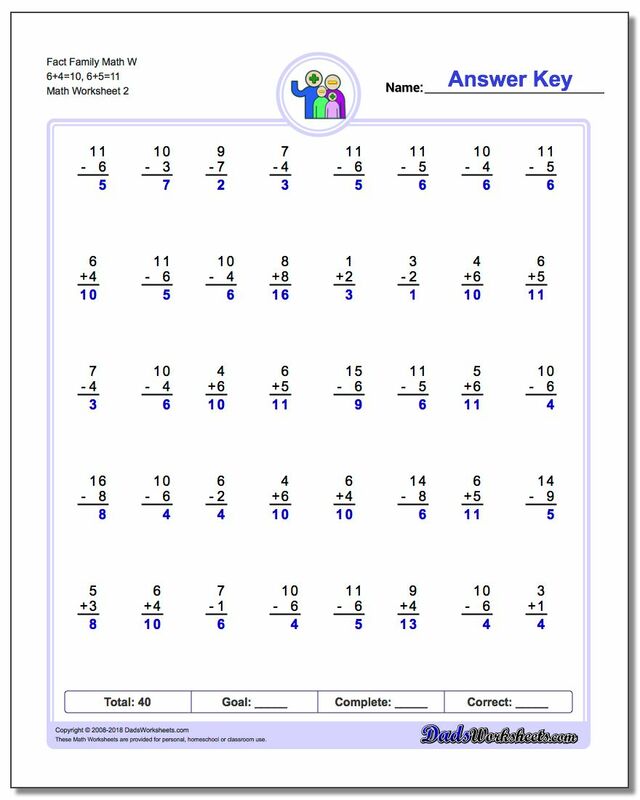 These 40 problem addition and subtraction fact family worksheets are perfect for either quick practice or a one-minute timed test. 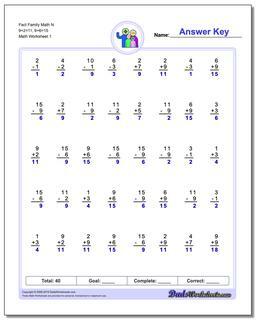 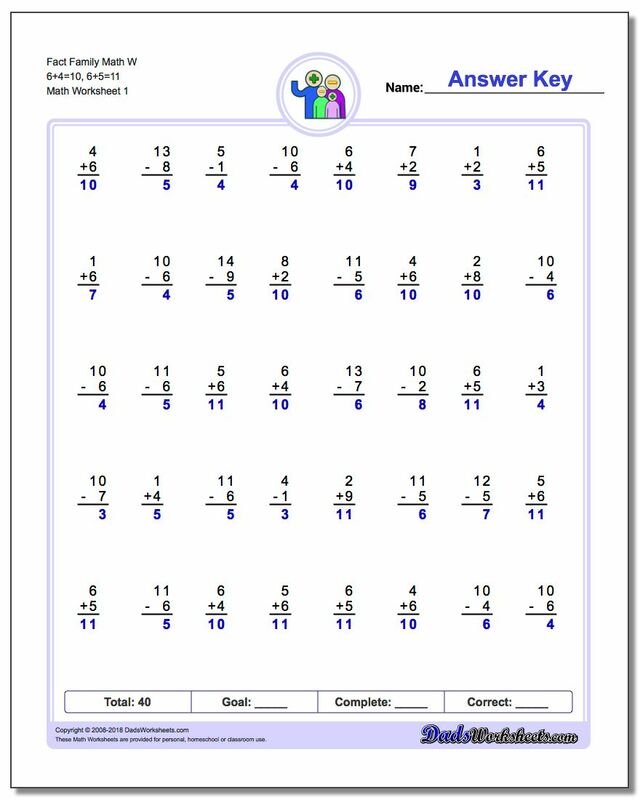 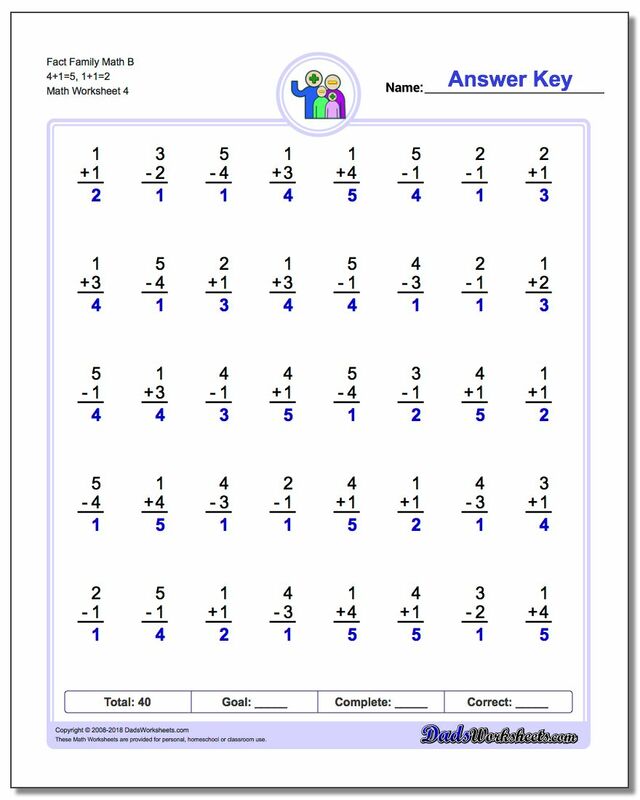 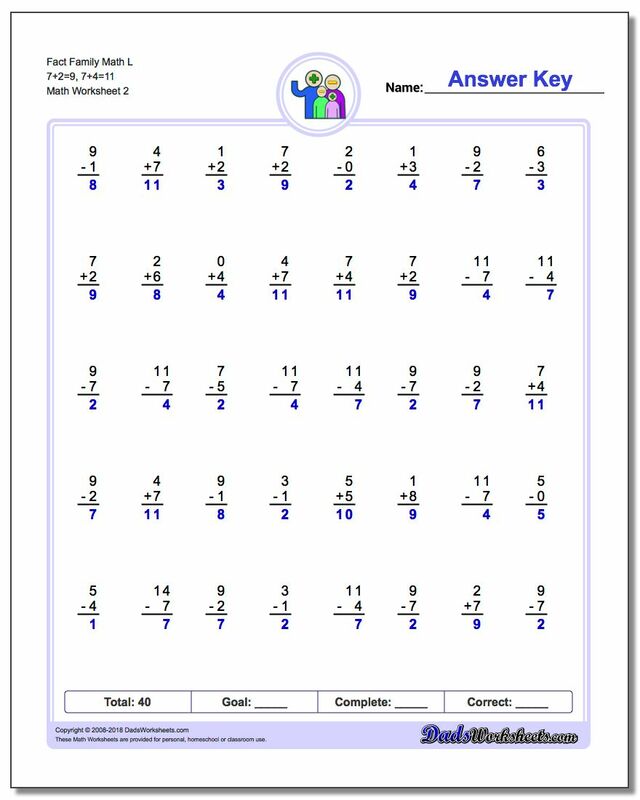 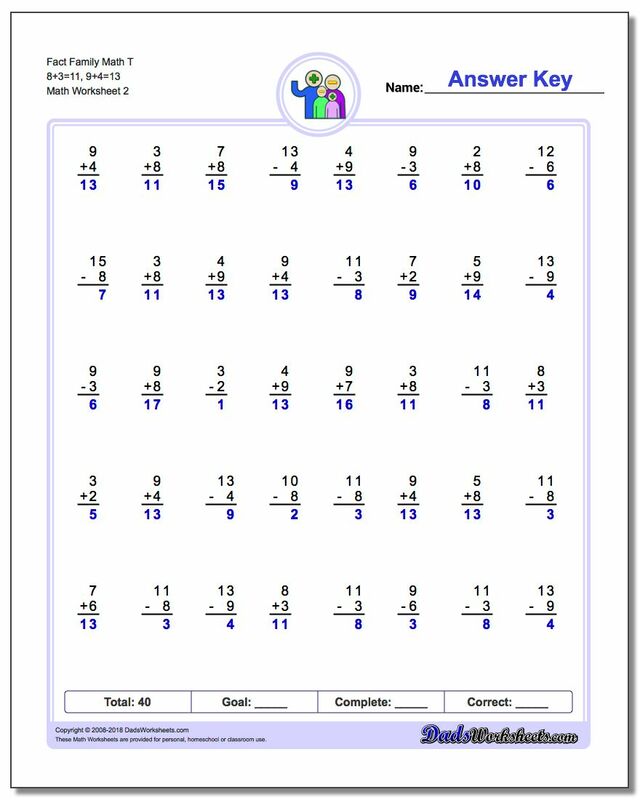 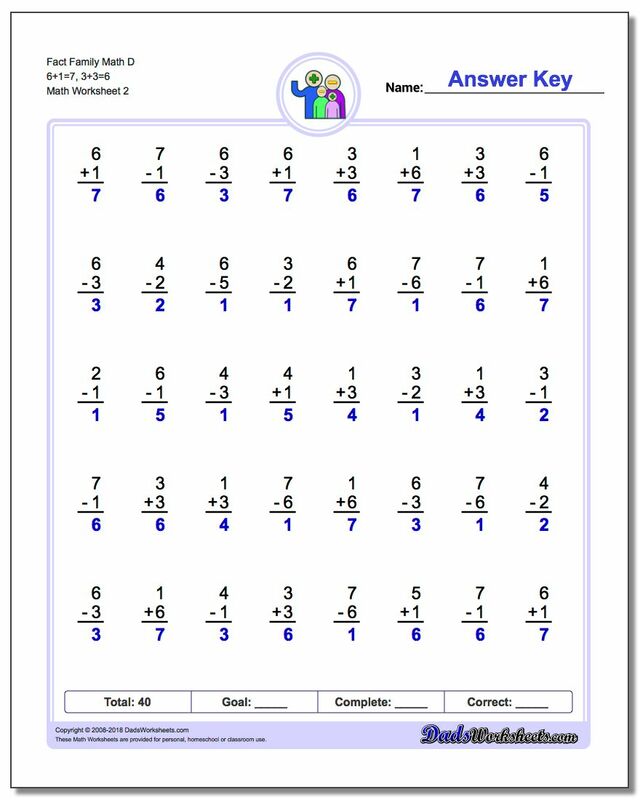 Be sure to check out the stand-alone addition worksheets and subtraction worksheets for help on specific operations. 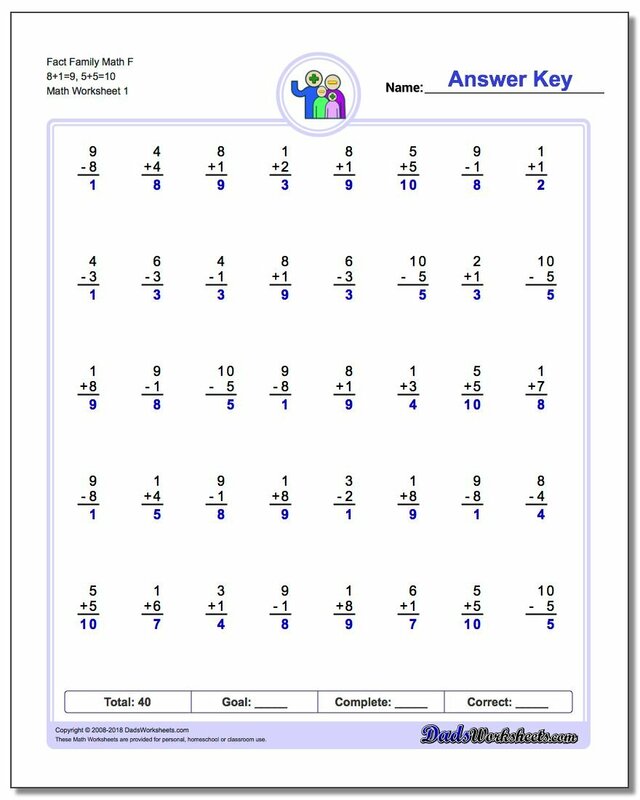 These 40 problem, one minute fact family worksheets are a great introduction to addition and subtraction facts. They teach how the commutative property of addition produces the same result for two different math facts, and also show how subtraction is the inverse operation of addition.